The connection between the Name Shadai and the Shma explained above makes it easier to understand the association of Tefillin and Mezuzah with the Name Shadai, since the first two paragraphs of the Shma are written on the parchments placed inside of them. In addition, for both Tefillin and Mezuzah, the connection to the Name Shadai is more pronounced since the letters Shin Dalet Yud of Shadai are also physically symbolized and visible for us to see even outside the cases of the parchments. This is seen in Tefillin since the letter Shin of Shadai is embossed on the leather box of the Tefillin that is placed upon one’s forehead. The letter Dalet of Shadai is formed by the shape of the knot in the strap at that secures the Tefillin in place at back base of one’s head. The letter Yud of Shadai is formed by the shape of the knot in the strap of the second box of Tefillin that binds the Tefillin to one’s arm. In addition, the way that the strap of the Tefillin is wound around one’s arm, hand and fingers, also corresponds to the Name Shadai. The shape of the letter Shin is formed in the way the strap is wound around one’s upper arm. (Then there are seven additional wrappings on one’s lower arm.) Then the shape of the Dalet is formed from the way the strap is wrapped on the back of the hand. Then the shape of the letter Yud is formed from the way the strap is wound around the fingers. Seforim explain why the letter Shin is embossed on the head Tefillin, and why not just one, but two letter Shins are made, and why one is a seemingly regular Shin, formed by 3 letter Vov’s joined at their base, and why the other is more unusual, being formed by 4 letter Vov’s joined at their base. The explanation is that all of these things are intended to symbolize the way that the holy letters of the Ten Commandments were engraved on the Tablets, since the Tablets and the Ten Commandments are also reflected in the paragraphs of Shma and in the Tefillin. An interesting idea brought in Seforim explains that the two letter Shin’s embossed on the head Tefillin hint to, and are a reminder of, all the 613 Mitzvos: Take the gematria of the two letters Shin’s, 300 + 300 = 600. Then take the number of the Vov components of the two Shin’s, 3 for one Shin and 4 for the other, i.e., 3 + 4 = 7. 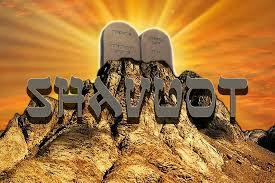 Then take the meaning of the word spelled by these two letter Shin’s, i.e., the word שש, Sheish, meaning the number 6. Then sum all of these hints together to get 600 + 7 + 6 = 613. The verse “And the nations of the world will see that God’s name is called upon you and will fear you” (Devarim 28:10), is said by our sages to refer to the wearing of the Tefillin on the head (Talmud Menachot 35b). The letter Shin on the Tefillin is symbolic of G-d’s Name, and this is hinted in this verse, since the initials of the words ש’ם י’הוה נ’קרא, Sh’em Y’HVH N’ikrah, “the Name of Hashem is called (upon you),” are the letters Shin Yud Nun, which spell out the word שין, Shin, which is the name of the letter Shin written out. However why is the letter Shin of Shadai used for this purpose, and not a letter of YHVH itself, for that is the Divine Name written in this verse, and also it is the Name that was embossed on the Tzitz, the headband ornament worn by the Kohan Godol, not the Name Shadai. Why not the same for Tefillin, and why is the Shin of the Name Shadi used instead? Probably the answer it that the Name Y-H-V-H is considered too holy to be expressed outwardly in our everyday usage for wearing Tefillin, especially outside the Sanctuary, and therefore instead the letter Shin of the Name Shadai is used. Additionally, the letter Shin also stands for the word ש’ם, Shem, meaning Name, and it is understood that the Name indicated, although outwardly the Name Shadai, however inwardly it is also identified with the Name Hashem. The letter Shin, gematria 300, is also the gematria of the Name YHVH when its four letters are permeated through the A-T Ba-Sh code, such that from Yud Heh Vov Heh they transform into the letters Mem Tzadi Peh Tzadi, and these sum to 40 + 90 + 80 + 90 = 300, like the letter Shin of Shadai. The letter Dalet, gematria 4, stands for the 4 letters of the Name YHVH. Based on what was explained the connection of the Name Shadai to the Mezuzah on our doorposts is also more understood, since in the first two paragraphs of the Shma are also written in the Mezuzah. What was explained also enhances our understanding of why traditionally the Name Shadai is written on the outside of the Mezuzah parchment, where it may be seen even when the scroll is rolled up, and also reinforces the association of expression “Sh’omer D’alsos Y’isroel,” that G-d is “Guardian of the doors of Israel,” an acronym of Shin Dalet Yud, spelling the Name Shadai, referring to the protection that is merited to through the fulfillment of the Mitzvah of Mezuzah. “Avrom was ninety-nine years old, and Hashem appeared to Avrom and said to him ‘I am E-l Shadai, G-d Almighty, walk before me and be whole. I will make a covenant between Me and you, and I will increase your numbers very much… As far as I am concerned, here is My covenant with you, you shall be the father of a horde of nations. No longer shall you be called Avram. Your name shall become AvroHom, for I have set you up as the father of a horde of nations… As far as you are concerned, you must keep My covenant… You must circumcise every male…” (Genesis 17:1-24). A lifetime of devotion to Hashem is initiated by the Bris and the connection to the Names of Hashem including the Name Shadai. In general it has been explained the the letters of Hashem’s Name Y-H-V-H are reflected in the human body, for as the Torah states man was made in the image of G-d. One’s head is shaped like a letter י, Yud, one’s two arms and shoulders are shaped like a letter ה, Heh (the dominant arm, usually the right, corresponds to the solid right side of the Heh, while the weaker arm, usually the left, corresponds to the left side of the Heh where there is a gap in the line), the trunk of one’s body is shaped like a letter ו, Vov, and one’s two legs and pelvis are shaped like the final letter ה, Heh (the stronger leg is like the stronger line on the right side of the Heh and the weaker leg is like the line with a gap on the left side of the Heh). In addition, IIRC it is brought somewhere, that when worshiping Hashem the human body forms shapes that are representative of the letters of the Name Shadai: When one raises one’s arms upward in prayer the shape of one’s two upraised arms with one’s head in the middle resembles the shape of the letter Shin. When one bows at the waist the shape of one’s body resembles the shape of the letter Dalet. When one does a complete bow, kneeling to the ground and brings one’s head down as well, the shape of one’s body shrinks and resembles the shape of the letter Yud. As noted before, in the first verse of Shma, the word אחד, Echod, One, gematria 13, is composed of letters Alef and Dalet with gematria 4 + 1 = 5, and Ches, with gematria 8, and thus the word Echod is symbolic of Tzitzis, with its 5 knots and 8 strings. There is a similar connection of the word Echod to the concept of a Bris, when one enters the covenant of circumcision to become attached and united with the One, Hashem, and the same numbers 5 and 8 that have prominent roles in the Tzitzis, also have prominent roles in the Bris Milah. This is evident because circumcision is commanded to be done on the 8th day of a baby’s life, and it was first commanded to our patriarch Avrohom together with the changing of his name from אברם, Avrom to אברה’ם, AvroHom, by the addition of the letter Heh, gematria 5, to his name (and similarly the baby is given his Hebrew name that futher attaches him to Hashem at the Bris Milah ceremony). The change in Avrohom’s name increased the full gematria value of his name from 243 to 248, and the strengthened bond with Hashem through circumcision gave him the completion he needed to control all the 248 limbs of his body. Thus the numbers connected with Avrohom’s covenant with Hashem are 8 and 5, the same numbers that are symbolic of Tzitzis, and as with the resulting gematria of Avrohom’s name, 248, so too it is that with the recital of the third paragraph of Shma we complete our recital of the corresponding 248 words of the Shma. The first 5 Principles of Faith deal directly with Hashem, for as commentaries note, the Rambam himself in his Hilchos Teshuva, chapter 3, halacha 7, groups together the first five principles in this first category – belief in G-d, that He is One, that He has no body or form, that He is beyond time being First and Last and the Creator of everything ex-nihilo, and that He alone is fitting to be worshiped. The following 8 Principles of Faith deal with Hashem’s interaction with man – He grants the gift of prophecy, His prophecy to Moshe Rabbeinu is greatest of all, He gave the Torah to the people of Israel, His Torah is immutable forever, He watches over the deeds of men, He gives reward and punishment as deserved, and at the appointed time He will send Moshiach, and He will revive the dead. Note: There are a few more comments I would like to post here in this series on the Shma, that are mostly drafted already and just waiting for some final editing. Since a lot of effort went into this I decided include my last name, and soon I will also give a way for any reader to contact me with any questions, comments or support in connection with what I have written. Thank you again Ezra for providing this important blog and forum for Kabbalah Secrets to be revealed. A final note about this Shabbos: This Shabbos will be the 17th of Tamuz, 40 days after Shavuos, the day 3330 years ago that the first set of Holy Tablets were brought down by Moshe Rabbeinu from Mount Sinai, and then broken in response to the sin of the Golden Calf. It is necessary to try to repent and repair that sin which produced a stain on all the generations, and similarly for each one to repent and repair the damage caused by his or her sins and misdeeds. The fast of the 17th of Tamuz this year is pushed off because of Shabbos, and let us hope that with the speedy arrival of Moshiach this fast day and all others too will be transformed instead into holidays and joyous celebrations. Good Shabbos! The 5 and 8 relationship of the tzizit ties (excuse the pun) into the 5 to the power of 8 total words, letters, and verses in the Torah and the ratio 5/8 or .625, reprsenting H’Keter (625) and the square root (625^2) of the 390,625 total words, letters, and verses in the Torah. Using the right consciousness we wrap ourselves in the full Torah when we put on the tzizit. That is very interesting, seemingly impossible to attribute to mere chance. As I’ve stressed a number of times 5 + 8 equals the significant number 13, and in addition their multiple, 5 x 8 =40, another significant number in Torah, which the number 40 also corresponds to the small gematria of 13, 1 + 3 = 4. Also interestingly 625 = 5 to the 4th power, 5 x 5 x 5 x 5 = 625, or when viewed another way 625 is 25 to the 2nd power, 25 x 25 = 625 (there are 25 letters in the first verse of Shma). Note too that the first two digits of 625, 6 and 2, sum to 6 + 2 = 8, and the last digit is 5, thus again demonstrating the 8 – 5 pattern, and again the small gematria is 6 + 2 + 5 = 13, and 1 + 3 = 4. As for the number 390,625, it seems that the 390 part corresponds to the 39 “coils” or “windings” that are customarily made in the Tzitzis, as I’ll explain very shortly in my next comment. The letter Shin, the first letter of the Name Sh’adai, is the first letter of the word ש’מים, Sh’omayim, heaven, and correspondingly the Talis, the garment of the Tzitzis, covers and surrounds the wearer like the heavens, and this corresponds to what we say when we done the Talis in emulation of Hashem, “Bless Hashem O my soul; Hashem my G-d You are very great; You have donned majesty and splendor; cloaked in light as with a garment, stretching out the heavens like a curtain” (Psalm 104:1-2). In addition, the blue string of the Tzitzis is also said to be a reminder of the blue sky of heaven. The letter Shinis is gematria 300, and that also corresponds to Tzitzis, with gematria 600, since 2 x 300= 600, which perhaps is doubled since it is inclusive of “the heaven and the heaven of heavens.” In addition it is possible that the gematria of Tzitzis is two times that of the letter Shin in order to represent the two kinds of Talesim with Tzitzis that we wear, the Talis Koton, the small Talis generally worn all day under one’s shirt, and the Talis Godol, the large Talis worn over all one’s clothes, especially when praying the morning prayers or when representing the congregation. The letter Shin of Shadai and of Shomayim also hint to the שמש, Shamesh, the sun that it the great minister in the sky which serves to illuminate the sky and influence the earth, moon and planets, and similarly with regard to the Tzitzis, the longest of the strings is called the שמש, Sh’amesh string, which so-to-speak serves the other strings, being wound around them in the sections between the knots, to further bind the strings together and to decorate them and beautify their appearance. In particular, in the most prevalent tradition for tying Tzitzis the Shamash string is coiled for a total of 39 times between the 5 knots of the Tzitzis. Between the first knot and the second knot there are 7 windings. Between the second and third knots there are 8 windings, for a total of 7 + 8 = 15, hinting to the Name Yud Heh. Between the third and fourth knots there are 11 windings, for a total of 7 + 8 + 11 = 26, hinting to the Name Hashem. Between the fourth and fifth knots there are 13 windings, for a total of 7 + 8 + 11 + 13 = 39, hinting to Hashem Echod. These 39 windings correspond to the gematria of the word שמים, Shomayim, heaven, which is 300 + 40 + 10 + 40 = 390 = 39 x 10. In addition the word שמש, Shemesh, is gematria 300 + 40 + 300 = 640, which this is the same as 8 x 8 x 10, or 2 x 32 x 10, etc., and these are also significant numbers pertinent to this discussion. “In the gemara’s system, there are 7 to 13 groups of windings. And it sounds like each group was 3 windings. (Majority opinion, Rav Natrunai Gaon reads it as “once, twice, three times, [and so on]”.) Rashi, Tosafos and the Moredechai say that the gemara is specific to winding tzitzis with techeiles, and not applicable to us. But either way, it shows there is some kind of significance to 39 windings because it’s 3 * 13. 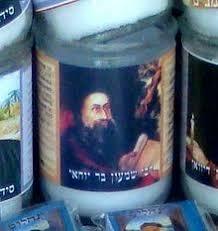 No “why” there, just an indication the number is significant to the mitzvah of tzitzis. But 39 also comes up in at least two other contexts: the maximum number of lashes the court may give as corporal punishment (if the person is healthy like an ox, and could take the maximum), as well as the number of melakhos, categories of constructive labor, prohibited on Shabbos. Lashes are meted out in groups of three, separated by doctor inspections. In addition the letter Shin, which spelled out is שין, is connected with the word שינים, Shinayim, teeth, which are 32 in number, and correspond to the 8 x 4 = 32 strings of the Tzitzis. With regard to the other letters of the Name Shadai, the letter Dalet is related to the root word דל, Dal, meaning poor and humble, and in general this correspond to the lowly earth, which receives from the heavens. Also the letter Dalet is gematria 4, hinting to the 4 corners of the earth, which are symbolized by the 4 corners of the Talis. In addition, the Dalet may symbolize all the 8 strings on each corner, since in their source the 8 strings are originally just 4 strings that are folded over into two. Further, the letter Dalet, when spelled out to its fullest extent, as is occasionally done, with an extra letter Yud, is דלית, meaning poor and destitute, is gematria 444, and with 1 for each of the four letters and 1 for the word itself adds to 444 + 4 + 1 = 449, which is the gematria of the word טלית, Talis. The word Talis can also be seen to consist of two parts, the first part טל, Tal, is gematria 39, alluding to the 39 windings, and the second part ית, Yud Tuf, gematra 410, the same as the word Shma and other significant words as explained above. The word Tal also means the dew of heaven that condenses on the earth, and that too hints to the intention of the Talis and Tzitzis, to draw the Divine flow and influence from heaven to earth. In addition, the word Talis, with 1 more for the Kolel, is gematria 450, which is 10 x 45, ten times the Name מה, MaH, and when summed with 150, which is 10 x 15, i.e., ten times the Name Yud Heh, and then together these two Divine Names, taken to the full extent, times 10, sum to (45 + 15) x 10 = 600, the gematria of the word ציצית, Tzitzis. The letter Yud of Shadai, gematria 10, is symbolized by the 5 knots that tie the strings of Tzitzis to the corners of the garment, because in reality each of these 5 knots is actually a double knot, i.e., one knot folded upon another, and therefore when examined in detail they are seen to be 5 x 2 = 10, the gematria of the letter Yud, also representative of the 10 Sefiros. Further, the letter Yud spelled out is יוד, gematria 20, and this corresponds to the total number of double knots of the Tzitzis, 5 double knots on the 4 corners of the garment, and 5 x 4 = 20. In general it is possible to say that the Shin, which as explained above is connected to the concept of heaven, is symbolized by a curved circle, and thus the heavens appear to our perception as a great circular dome above our heads. The Dalet, connected to the concept of earth, may be symbolized by a straight edged square, and to our naked eyes’ perception the earth appears as a flat surface. The Yud, which joins the Shin and Dalet together to form a complete Divine Name, is shaped like a tiny point, symbolizing the points of intersection and interaction between the disparate realms of heaven and earth, the circle and the square. This therefore connects to the idea that Shadai, the Almighty, is all powerful and omnipotent throughout the universe – as our sages explain, the Name Shadai is reflected in the phrase ש’אמר לעולמו ד’י’, She’omar L’olomo Di, that describes the Almighty as “He Who said to His world ‘Enough,’” and in the phrase ש’יש ד’י’ באלקותי לכל בריה, “He Who has sufficient power in His G-dliness for every created being” – and He creates and sustains everything in heaven and earth and every point of interaction between them. In the third paragraph of Shma, in connection with Tzitzis, there is also a special hint to the Name Shadai, for as it says in this passage, through fulfillment of the Mitzvah of Tzitzis, and all the Mitzvos the Tzitzis reminds us of, we achieve a level of קד’ש’י’ם, Kedoshim, “and you shall be Sanctified unto your G-d.” In the middle of the word Kedoshim is a letter Shin, to the right of it a letter Dalet, and to the left of it a letter Yud, the three letters that together spell the Name Shadai. Further, the gematria of the whole word Kedoshim is 100 + 4 + 300 + 10 + 40 = 454, a number which is composed of the middle digit 5, and two times the digit 4 at the beginning and end, summing to 4 + 4 = 8, thus again this word again hints to the special relationship of the numbers 5 and 8 that are evident in the Mitzvah of Tzitzis. In addition, the small gematria of the Name Shadai, is 3 + 1 + 4 = 8, and similarly the small gematria of the Name Hashem, is 2 + 6 = 8, and thus in this method too these Divine Names have a relationship to the Bris on the 8th day and to the Tzitzis with its 8 strings. As indicated by the two words, the Talis with Tzitzis consists of 2 sections, the Talis garment and the Tzitzis strings. It is possible to say that Talis and Tzitzis correspond to the 2 letters of the Name Yud Heh, or to the 4 letters of the Name Yud Heh Vov Heh as they are subdivided into two sections. The Talis and Tzitzis each further subdivide into 2 sections each, for a total of 4 sections, the garment, the corners of the garment, the knotted part of the strings, and the unknotted part of the strings that hang loose. These 4 sections correspond to the 4 letters of the Name Yud Heh Vov Heh. The Talis garment also may be further subdivided into 6 sections, since it has a front and a back, a right and a left, and an inside and an outside. Similarly with regard to the Tzitzis strings, the knots of the Tzitzis subdivide the strings into 6 sections: First there is 1 section is between the corner of the garment and the first knot (which needs to be checked regularly to ensure that none of the strings there are broken which would render the Tzitzis unkosher). Then there are 4 sections formed in between the five knots, which these 4 sections correspond to the 4 letters of the Name Y-H-V-H. Lastly comes 1 more section after the fifth knot, consisting of the 8 loose hanging strings. Based on this understanding it is possible to find a hint to the 248 positive Mitzvos directly in the numbers associated with the elements of Tzitzis. To find a hint to the 248 positive Mitzvos, first examine the top part of the Tzitzis and realize that the 5 knots of the Tzitzis are actually double knots, as explained in my previous comment, and in many places, and thus they may be counted as 10 single knots and identified with the number 10. To this add 1 for the section of the Tzitzis between the corner of the garment and the first knot, and 4 for the four sections between the first knot and the last knot, to get 10 + 1 + 4 = 15. This number in and of itself is significant because 15 is the gematria of the Divine Name Yud Heh, and also the first half of the Name Y-H-V-H.
Then add to this 8 for the 8 loose hanging strings after the last knot, to obtain the sum 15 + 8 = 23. Further, as explained in my previous comment, traditionally one of the strings, called the Shamesh, is wound a total of 39 “windings” or “coils” around the 7 other strings in the 4 sections between the 5 knots. Traditionally 7 windings are made around the strings in the section between the first two knots, 8 windings around the strings in the section between the second and third knots, 11 windings around the strings in the section between the third and fourth knots, and 13 windings around the strings in the section between the fourth and fifth knots (totaling 7 + 8 + 11 + 13 = 39). It comes out that the Tzitzis consist of 8 strings, plus 10 knots, plus 5 sections between the garment and the fifth knot, plus 39 windings in the sections between the knots, and all together these sum to 8 + 10 + 5 + 39 = 62. Since the same number of strings, knots, sections, and windings, are replicated on all 4 corners of the Talis, therefore to calculate the total number multiply by 4 to get 62 x 4 = 248, which this corresponds perfectly with the 248 positive commandments, the 248 limbs in the body, the 248 of words of the congregation’s recital of the Shma, the gematria 248 of the name of our patriarch אברהם, Avrohom, and so much more. By understanding the process of making the strings for Tzitzis another hint to all 613 Mitzvos, the sum of the 248 positive commandments plus the 365 negative commandments, can also be identified. The threads that are used for making the strings of Tzitzis have to be twisted together to form thicker strings. This process, called Shezirah, twisting, requires combining a minimum of two threads twisted together to form the strings, and what is considered the optimal custom is to make Tzitzis strings that are Kaful Shemonah, composed of 8 threads twisted together. Similarly with regard to the windings that are made around the sections between the knots. Previously it was explained that there are 39 windings, however additionally there is a tradition to tighten these windings by making loops around them. According to a Sefardic custom a loop is made after each of the 39 winding, producing a protrusion that appears like a spine that helps hold the windings tightly together. It comes out then that the total for the number of windings plus the number of loops is 39 + 39 = 78. According to the Arizal and others the custom is not to make a loop for each winding, but rather one loop for every 3 windings, for a total of 13 loops around the 39 windings. However even according to this custom it is possible to say that within each group of 3 windings looped together the order of each winding within its loop can be seen as a special quality, i.e., each winding is either the first, second or third of its looped set, and therefore not only can we identify each winding as an element for itself, but we may also identify its position within its threefold loop as another independent element. This is even more evident since the loops are ideally made in a way such that they line up on one side of the Tzitzis like a spine, so that when looking at the windings from one side just the 39 windings are visible, while when looking at the Tzitzis from the other side, the side with the spine, what is observed is the 13 loops with 3 wrappings in each one. It comes out then that even according to the Arizal custom we may also identify as individual elements not just the 39 windings themselves, but also the number of positions these windings take within each loop. Therefore the total number of these winding elements can be viewed as summing to 39 + (13 x 3) = 78. Now for the Sefardic custom combine all the individual threads, windings, and loops, 64 + 39 + 39 = 142. For the Arizal custom combine all the individual threads, windings and windings as subdivided by the loops, 64 + 39 + (13 x 3) = 142. Then add the number of individual knots, of which there are 10, to get 142 + 10 = 152. Then add 1 for the root section of the string where there are no windings, i.e., the section between the corner of the Talis and the first knot, to get 152 + 1 = 153. Then multiply by 4 because all of these elements are replicated on all 4 corners, to get 153 x 4 = 612. Then add 1 for the Talis garment itself, 612 + 1 = 613, and thus there is a direct one-to-one relationship between the elements of the Talis and Tzitzis to the 613 Mitzvos of the Torah. Of course there are other kosher methods that are also used for tying Tzitzis, especially when kosher blue dye is available for the Techeiles, and surely there are deep intentions and mystical secrets in all of them. The goal here however is just to give a taste of what wonders can be found if one only tries. “It is noteworthy that the Divine Name Shadai occurs 9 times in the Torah, 4 times in Nevi’im, and 35 times in Kesuvim (2 times in Ruth, 2 times in Psalms and 31 times in Job), for a total of 9 + 4 + 35 = 48 times. These 48 Scriptural occurrences of the Name Shadai also correspond to the first paragraph of Shma with its 48 words. “There is also 1 possibly related word שדין, Shadon (Job 19:29), with an additional final letter Nun, that is written with a letter Yud but read as with a letter Vov, that may also be related to the Name Shadai. At the time I failed to notice that there are also two other leaders where again the Name Shadai is part of the person’s name, i.e., the leader of the tribe of Shimon, Shlumiel son of צורישדי, Tzuri-Shadai, with his father’s name meaning “My Rock is Shadai,” with 5 occurrence of this name in the Torah, and the leader of the tribe of Dan, Achiezer son עמישדי, Amishadai, with his father’s name meaning “My Kinsman is Shadai,” also with 5 occurrences in the Torah. This throws off the calculation that I made. My apologies for this oversight and for any other errors I may have made. At any rate perhaps instead a calculation of 48 + 15 + 1 = 64 occurrences of the Name Shadai in TaNaCh is significant, since as explained at length the Name Shadai is connected to the number 8, and 64 = 8 x 8. Incidentally, in the formula 48 + 15 + 1 = 64, the way this is divided into 48 occurrences of the Name Shadai in the Torah and 15 + 1 = 16 occurrences in Nevi’im and Kesuvim, also indicates a clear relationship to the number 8, since 48 = 6 x 8, and 16 = 2 x 8. This seems way beyond mere chance. There are 9 times the Name Shadai appears in the Torah, and an additional 15 times that the Name appears as part of the names of the leaders of three of the tribes. That is a total of 9 + 15 = 24 = 3 x 8. There are 39 more times the Name appears in TaNaCh (possibly connected to the 39 windings of the Tzitzis, the 39 Melochos of Shabbos, and the 39 Makos that I recently discussed), and one possible extra time in Job 19:29 as I explained originally. That would be a total of 39 + 1 = 40 = 5 x 8. (It could also be that the 48 regular times the Name appears in TaNaCh are hinted by this verse Job 19:29 since 19 + 29 = 48). When the occurrences of the Name Shadai in Torah and in TaNaCh are joined together then there are 9 + 39 = 48 = 6 x 8 regular occurrences of the Name Shadai, and 15 + 1 = 16 = 2 x 8 irregular occurrences of the Name. These are perhaps even more amazing numbers than what I first wrote, well beyond the realm of chance. If anyone wants to double check (please do) there is an online search function available at http://www.snopi.com/xDic/Bible.aspx where you can generate results for complete Hebrew words or parts of words. Previously it was explained that the first paragraph of Shma has 205 letters, and the simplest possible word with this gematria is הר, Har, meaning mountain, is hinted in the name of Parshas B’Har, and the second paragraph of Shma has 508 letters, and one of the simplest words with this gematria is חקת, Chukas, meaning law or statute, as hinted in the name of Parshas B’Chukosai, and together the first two paragraphs of Shma therefore symbolize the great revelation of G-d on the mountain, Mount Sinai and the giving of the Torah its Laws. Continuing in this vein it is possible to say that the 287 letters in the third paragraph of Shma are reflected in the two smallest root words with the same gematria of 287, words that are related to one another, spelled with the same letters only in slightly different order, words with closely related meanings: פזר, Pozar, meaning disperse, scatter, or distribute freely and extravagantly, and פרז, Poraz, meaning spread out, open, and unbounded without walls. Some examples of the root פזר, Pozar, disperse, scatter, or dispense freely: “Israel is a dispersed (פזורה) lamb” (Yirmiya 50:17); “There is a people dispersed (מפזר) and divided among the peoples” (Esther 3:8); “He gives snow like fleece, He scatters (יפזר) frost like ashes” (Psalm 147:16), recited daily in our morning payers; “For G-d scatters (פזר) the bones of those who camp against you” (Psalm 53:6); “He has dispensed extravagantly (פזר), he has given to the poor, his righteousness endures forever” (Psalm 112:9); “There is one who disperses freely (מפזר) and yet increases” (Proverbs 11:24). Some examples of the root פרז, Poraz, spread out, without walls: “…aside from the cities without walls (הפרזי) very many” (Devorim 3:5); “You shall dwell without walls (פרוזות) in Jerusalem” (Zecharya 2:8); “Therefore the Yehudim who are spread out (הפרזים), who dwell in the unwalled (הפרזות) towns” (Esther 9:19); “There they will give praise of the righteousness of Hashem, His righteousness of settling Israel [without fear] in open villages (פרזונו)” (Judges 5:11). Similarly פרזי, Prizi (Breishis 13:7), was the name of a group of indigenous peoples living in the land of Canaan promised to Avrohom, and commentators explain they were given this name because they lived in cities without walls. The root פרז, Poraz, according to some commentators also has a connotation of meaning a leader or ruler who is not limited by normal boundaries, since the letter Zayin in the root פרז interchanges with a letter Tzadi to form the word פרץ, Poretz, which also has a meaning of spread out, increase, prosper and burst forth, as in: “And the man increased (ויפרץ) exceedingly greatly” (Breishis 30:43); “And you shall spread out (ופרצת) to the west and to the east and to the north and to the south” (Breishis 27:14. Poretz also has a connotation of a leader and ruler as in “You have burst open such a breach for yourself (פרצת עליך פרץ) and therefore his name was called Peretz (פרץ)” (Genesis 38:29), which is in reference to the birth of Peretz son of Yehudah, the progenitor of King Dovid and Moshiach, and as it says (Micha 2:13) “The one who breaks forth (פרץ) is come up before them, they have broken in (פרצו) and passed through the gate and are gone out by it, and their King passes on before them and Hashem at their head, and as in “A king bursts through (פורץ) boundaries” (Talmud as brought in Rambam). In addition, while the number 7 symbolizes a completeness within the bounds nature, the number 8 as represented by the 8 strings of Tzitzis symbolizes what is even higher than nature, busting through and spreading out beyond the bounds of nature. Further, wearing the Talis and Tzitzis, immediately identifies one as a servant of the King, Hashem, paving the way, enlightening, and leading others, with the multitude of strings and the way they are tied indicating our being connected to and tied to Hashem through the keeping of all of His 613 commandments. These themes fit well with the themes described above, the mountain (הר) and laws (חקת), and the giving of the Torah on Mt. Sinai, for the hint to the words Pozar, Poraz, and Poretz indicate that Hashem did this for us in a most generous and extravagant manner (פזר), in a way that burst through the bounds that normally separate natural and supernatural, breaking through the decree that the upper realms do not descend to the lower realms and vice versa, and indicating that the valuable Laws of Hashem are spread out into all the affair of man and society, in order to permeate everything in the world with His holiness. It was explained above that the 287 letters of the third paragraph of Shma are hinted in the word פזר, Pozar, meaning spread out and disperse, gematria 287. This includes a connection to a relatively rare Torah reading cantillation sign, the פזר, Pozair, which instructs the reader spread out and scatter his voice through a pattern of notes while chanting the word of Scripture, which prolongs and emphasizes the word and indicates heightened significance. There are various traditions for how to sing the Pozair, and in the Ashkenazi cantillation tradition that I am familiar with it consists of 8 notes, corresponding to the number 8 that is symbolic of Tzitzis. In all of B’har and B’Chukosai the Pozair cantillation only occurs once, near the end of B’Chukosai, at the beginning of verse VaYikra 27:28, “But any devoted thing that is devoted by a man unto Hashem of all that he has, whether of man or beast or of the field of his possession, shall not be sold nor redeemed; every devoted thing is holy of holies unto Hashem.” The Pozair cantillation sign is on the initial letter Ches of the word ח’רם, Cheirem, “devoted thing,” in the first of the three times that word appears in the verse. It is notable that the cantillation sign Pozair associated with this word is on the letter Ches, gematria 8, corresponding to the 8 strings of Tzitzis. Additionally the word Cheirem, “devoted thing,” may also be understood as a composite of ח’ רם, Ches Rom, i.e., indicating that the letter Ches, 8, is a sign of uplifting and elevation (Rom), symbolic of the covenant with G-d on a level higher than nature. In addition, the word חרם, Cheirem, “devoted thing,” is gematrai 248, and thus it corresponds to the 248 positive Mitzvos that we are reminded of by the Tzitzis, and with chanting the paragraph of Tzitzis we complete the 248 words associated with the recital of the three paragraphs of the Shma as per the instructions of our sages o.b.m. Further, the three word expression חרם אשר יחרם, Cheirem Asher Yacharim, “devoted thing that is devoted,” has a gematria of 248 + 501 + 258 = 1007. If 8 for the first letter Ches is not counted, because it already has associated with it the hint of the cantillation sign Pozair, then the remainder is 1007 – 8 = 999, and then adding a Kolel of 1 for the letter Ches, or for the adjacent letter Alef in the next word in the verse א’יש, Ish, man, or for the general Kolel, then 999 + 1 = 1000, corresponding to the 1000 total letters in the three paragraphs of Shma. Alternatively, the number 1007 itself is representative of the Shma, 1000 for the number of letters, plus 1 for each of the 6 words of the silent verse Boruch Shem Kevod Malchuso L’olam Voed, and 1 for the word Emes added at the end, which together sums to 1000 + 6 + 1 = 1007. Also the small gematria of 1007 is 1 + 0 + 0 + 7 = 8, a reflection of the connection to the 8 strings of Tzitzis and devotion to Hashem in a manner higher than nature. The phrase חרם אשר יחרם, Cheirem Asher Yacharim, “devoted thing that is devoted,” is also repeated at the beginning of the very next verse VaYikra 27:29, this time with a different, more frequent cantillation sign, a רביעי, Revi’i, on the initial letter Ches. This cantillation sign also may hint to the third paragraph of Shma since the word Revi’i means four, and in the Ashkenazi tradition the chanting of a word with this sign is sung with four distinct descending notes at the end, and the sign itself is a four cornered diamond shaped mark, corresponding to Tzitzis that hang down from the four corners of the Talis. Also the word Revi’i is gematria 292, the same as the sum of the 287 letters of the third paragraph of Shma, plus 5 for the 5 verses of the paragraph, 287 + 5 = 292. It is possible that the repetition of this unusual phrase in these two successive verses alludes to the two times per day we that we are obligated to recite the Shma, once in the morning and once at night. Interestingly too, the word Cheirem appears a total of 5 times in this section at the end of B’Chukosai, 3 times in verse 27:28 and 2 times in verse 27:29, and these 3 + 2 = 5 words may allude to the 5 verses of the paragraph of Tzitzis or to the 5 knots of the Tzitzis. There is also a relationship between the numbers 287 and 248, in that the difference between them is 287 – 248 = 39, and as we have explained, the number 39, and likewise sum of 3 x 13 = 39, plays a key role with regard to the Tzitzis as reflected in the 39 wrappings at the top of the Tzitzis strings. Further, the number 287 in small gematria reduces to 2 + 8 + 7 = 17, and 17 reduces to 1 + 7 = 8, thus in this manner too the number 287 alludes to the 8 strings of Tzitzis. In the same way the number 248 in small gematria reduces to 2 + 4 + 8 = 14, and 14 reduces to 1 + 4 = 5, which alludes to the 5 knots of Tzitzis. In general, too, the idea of a “devotion to Hashem,” is what wearing Tzitzis is all about, to be completely devoted to Hashem. It is significant that the theme of Tzeduka, in the form of pledges, devotions, and tithing one’s income for the Divine service in the Sanctuary, is discussed in this section of the Torah at the end of B’har-B’chukosai, which concludes the whole Sefer Vayikra. 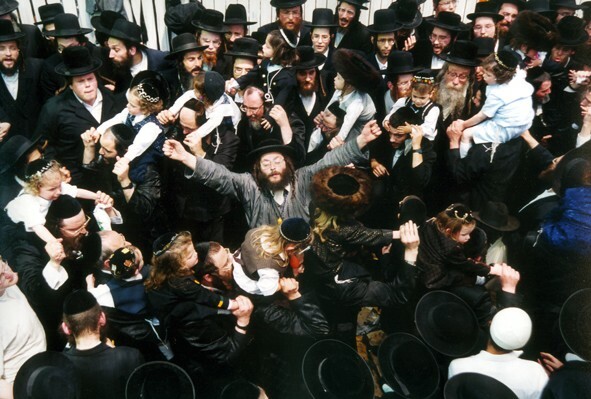 It is understandable that there is a special connection between Tzitzis and Tzeduka, because like Tzitzis, giving Tzeduka is also considered to be inclusive of all the 613 Mitzvos. As our sages o.b.m. emphasized (Baba Basra 9a), “Tzeduka is equivalent to all other commandments,” and throughout the Jerusalem Talmud the Mitzvah of giving Tzeduka is simply called “The Commandment,” because it is the essence of all the commandments and in some ways exceeds them all, and specifically Tzeduka is called “Hashem’s Commandment,” since G-d Himself constantly performs charity at all times by sustaining and vitalizing all of creation. Certainly if Tzitzis is a reminder of all the Mitzvos, then how much more so is it a reminder of all the essential Mitzvos, such as Bris Milah, circumcision, the a sign on our body, Shabbos the sign on our days, Tefillin the sign on our head and on our hand, Mezuzah the sign on our houses, since similarly Tzitzis itself the sign on our clothes, reminding us to keep all the Mitzvos, and especially as explained here since this includes being a reminder to be careful to keep the essential Mitzvah of Tzeduka, giving charity, which is inclusive of all the other Mitzvos, including the Mitzvah to follow in the ways of Hashem. The Torah testifies about our trailblazing patriarch אברהם, Avrohom, whose name is also gematria 248 like the word חרם, Cheirem, devotion, and who himself was totally devoted to Hashem, that “For I know him, that he shall command his children and his household after him that they shall keep the way of Hashem to do righteousness (Tzeduka) and justice (Mishpot)” (Breishis 18:19). Therefore we are charged to do as much Tzeduka and kindness as we can, and to do so freely and in an extravagant and kingly manner, in the manner of Pozar, Poraz and Poretz. Most significantly our giving Tzeduka in this way is guaranteed to lead to the promised redemption very soon, since (as stated in Bava Basra 10a) Gedolah Tzeduka She’Mekareves Es Ha’geulah, “Great is charity for it brings the redemption closer,” and (Yeshaya 1:27) Tziyon B’Mishpot Tipododeh V’Shoveho B’Tzeduka, “Zion shall be redeemed with justice, and they that return of her with Tzeduka”! This series will conclude IY”H with explanation of what was mentioned before, that in continuance to the previous Sedros the third paragraph of Shma is also hinted in Sedrah Bamidbar. It also will be explained how Talis and Tzitzis correspond to the Mishkon-Tabernacle and the Divine service in the Sanctuary, and how by wearing Talis and Tzitzis one is transformed into a Mikdosh Me’at, a miniature sanctuary, and thereby may experience a profound personal one-on-one relationship with Hashem. Questions, comments or support may be addressed to moshe@chassidusunlimited.com or to Moshe Friedman, c/o Chassidus Unlimited Inc., P.O.B. 302, South Fallsburg, NY 12779, for many years involved in teaching and spreading the inner teachings of Torah. My present website http://chassidusunlimited.com is basically unchanged since 1996, with only a few articles explaining why the late Lubavitcher Rebbe זצ”ל, or any deceased person for that matter, cannot possibly be Moshiach. Unfortunately the situation with regard to that matter also remains basically unchanged since then. However expansion of the Chassidus Unlimited website is planned, including the thoughts presented here with some enhancements and much more, and kind donations will be appreciated and received gratefully with blessings. Thank you Ezra for your important blog revealing Kabbalah Secrets, and especially for the inspiring and electrifying news about the great opportunity and promise of this unique year 5778 HC / 2018 CE. I’m optimistic about further imminent developments and it would be nice if we could collaborate on projects together. The number 616 is also 600 + 16, and the word Tzitzis in gematria is 600, and with 8 for the strings and 5 for the knots sums to 613, corresponding to the number of commandments 248 + 365 = 613, and together with 1 for the windings and 1 for the loops (as explained above) and with 1 for the Talis garment itself the sum is 613 + 3 = 616. —- Probably for the final triplet in this calculation it would have been better to have said “1 for the spaces between the knots, 1 for the windings around these spaces, and 1 for the loops around these windings,” since these form a triplet of extra aspects of the Tzitzis that fit well with one another, as was explained above at length. In addition, the 613 positive and negative commandments, plus 1 for Yisroel who performs the Mitzvos, and 1 for the Torah which teaches the commandments, plus 1 for Hashem who commands the Mitzvos, also sums to 13 + 3 = 616. —- The equation at the end obviously should be corrected to 613 + 3 = 616 since I accidentally left out the 6 from 613. As for the triplet at the end of this equation, “1 for Yisroel…, 1 for the Torah…, 1 for Hashem…,” it is basically the same as what was suggested in a comment by G. on the latest post The Prime Directive, where he wrote that “G-d, the Torah, and the children of Israel are One.” He said it in the name of Rabbi Ashlag, however it is based on the Zohar III 73a: תלת קשרין מתקשרין דא בדא ישראל אורייתא וקוב”ה, ישראל מתקשרין באורייתא ואורייתא בקוב”ה. Also significant is that in this first verse of Bamidbar there are 70 letters, corresponding to… the 70 years since the reestablishment of the state of Israel until now – as predicted in the Zohar in connection to the 70 words of Psalm 20…. In addition to what was stated above there are also other numbers that are hinted in the first verse of Bamidbar, since it mentions that “Hashem spoke to Moshe,” at the end of a specific time period, “on the first day of the second month in the second year following the exodus from the land of Egypt,” i.e., the time from the Exodus, on the 15th day of Nisan 2448, until 1st day of Iyar 2449. How many days were in this period? The Exodus took place on the 15th of Nisan, the first month, and there are 30 days in the month, so there are 30 – 15 = 15 more days in Nisan. Counting the day of the Exodus itself makes 16 days of redemption in the month of Nisan. The next day, the 17th day, is the 1st day of the month of Iyar. A standard lunar year has 354 days, and seemingly the first year would not have been a leap year. Therefore in between the two dates, 15 Nisan 2448 and 1 Iyar 2449, not including these two days themselves, there are 354 + 15 = 369 days. Counting the day of the Exodus, the 15th of Nisan 2448, there are 354 + 16 = 370 days. 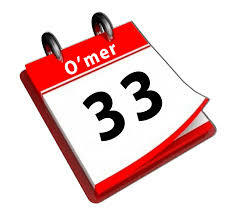 Counting the 1st of Iyar, “the first day of the second month in the second year,” there are 354 + 17 = 371 days. These numbers have significance that was mostly discussed already. The number 369 may allude to the third paragraph of Shma, since it equals the sum of the 287 letters, plus the 69 words, plus the 5 verses, or plus the 5 knots of Tzitzis, plus the 8 strings of Tzitzis, 287 + 69 + 5 + 8 = 369. The number 369 is also equal to 123 x 3 and to 41 x 9, as previously discussed. The number 370 is the gematria of שלם, Sholeim, “complete,” similar to שלום, Sholom, Peace, when written without the letter Vov, as explained above. In addition, 370 = 37 x 10, and 37 is the 12th prime number, and as such it may represent the completeness of the 12 Tribes. Also 37 represents the completeness of the 10 Sephiros, since 3 + 7 = 10, with 3 x 10 = 30 corresponding to the 3 higher Sefiros and with 7 corresponding to the 7 lower Sefiros. The number 371 = 7 x 53, and as mentioned above 53 is the 16th prime number. Since there are 7 days in a week the opening passage of Bamidbar was 53 weeks after the Exodus. The number 53 is also significant since the Torah is divided into 53 Sedros, and 53 is also the gematria of גן, Gan, garden, as in the Garden of Eden. The name עדן, Eden, meaning “Pleasure” or “Delight,” is composed of the first two letters עד, Ayin Dalet, which are the significant two large letters in the first verse of Shma, and the final letter ן, Nun, is gematria 50 or gematria 700, which these numbers are also connected to Shma, as explained above. The hint from this is that one’s entering into the recitation of the Shma is similar to one’s entering into the Garden of Eden. As mentioned above, in the first verse of Bamidbar there is also a hint to the Name Shadai. Start from the first letter Shin in the verse, which is the 13th letter, the middle letter in the word מש’ה, which Moshe is connected to the Name Shadai since as said above the gematria of Moshe is the same as the gematria of the Divine Names E-l Shadai. Then there is an equal letter skip that spells out the Name Shadai, by skipping 3 letters, and then the 4th letter is the letter Dalet in the next word במד’בר, Bamidbar, and then skipping another 3 letters, and then the 4th letter is the first letter Yud in the next word Sinai, מש’ה במד’בר סי’ני, spelling Shin-Dalet-Yud, the Divine Name Shadai. Interestingly the 6 letters that are skipped, ה ב מ ב ר ס, Heh, Beis, Mem, Beis, Reish, Samech, in gematria are 5 + 2 + 40 + 2 + 200 + 60 = 309, and with 1 for each of these 6 letters, sums to 309 + 6 = 315 which is also the same as the Name Shadai with 1 for the Kolel, 314 + 1 = 315. This then is actually a double hint to the Name Shadai (like the double hints to the 248 positive commandments and to the 365 negative commandments in this verse as explained above). As previously explained the Name Shadai is intimately connected with the Shma. So strong is this connection that there is a custom to cover one’s eyes with one’s hand while reciting the first verse of Shma in order to increase concentration, to shut out all distractions and concentrate on Hashem, and this too is hinted in the Name Shadai. Further, when covering our eyes while reciting this verse of Shma, the common custom is for one’s hand to be held with 4 fingers of the hand, Dalet being gematria 4, stretched out over the eyes, and with the thumb stretched upward, and when held like this one’s hand forms a shape similar to an upside-down letter Dalet. Together then these two large letters of the Shma symbolize covering one’s eyes with one’s hand when one says the first verse of Shma. The Name Shadai may be understood to hint to this custom since as explained above the letter Shin of Sh’adai hints to ש’מש, Sh’emesh, sun, and ש’מים, Sh’omayim, heaven or sky, and as Rashi explains on the first time the word Shomayim appears, in the first verse of the Torah, it is a combination of the two words אש, AiSh, fire, and מים, Mayim, water, and thus the first letter Shin of Sh’omayim also stands for א’ש, Ai-Sh, fire, which the sun in the sky and fire are the sources of light by which our eyes are able to see. The remaining letters of Shadai, the letters Dalet and Yud, in reverse order spell the word יד, YaD, meaning “hand.” It comes out that together the letters of the Name Shadai hint to vision and to hand, and thus hint to the custom to cover our eyes with our hand when reciting Shma. In addition, according to a Kabbalistic teaching, when covering one’s eyes with one’s hand when saying the first verse of Shma, one should arrange his fingers so that the three middle fingers of one’s hand are stretched upward in the shape of the letter Shin, and held opposite the middle of one’s forehead above the eyes. One’s thumb should be bent to resemble the shape of a letter Dalet and placed over one’s right eye. One’s pinky should be curled up to resemble the shape of a letter Yud and placed over one’s left eye. Thus the shape of one’s fingers when held in this way spells out the letters Shin-Dalet-Yud, spelling the Name Shadai, and try it and see this is a very effective device for increasing one’s concentration and meditation on the Name and focusing one’s attention completely on Hashem. The two customs are not mutually exclusive, for one may follow both customs when one recites the Shma, by starting first with the more common method of holding one’s hand and fingers, and then afterwards switching and adjusting one’s hand and fingers to the Kabbalistic method. — Note that in the last lines quoted from the end of the Oleinu prayer there are three different Divine Names, Hashem, Elokeinu, and Shadai that are mentioned. What should be obvious to all is that there is only One G-d, however different Names are used depending on the context and the attribute of G-d that is being stressed. 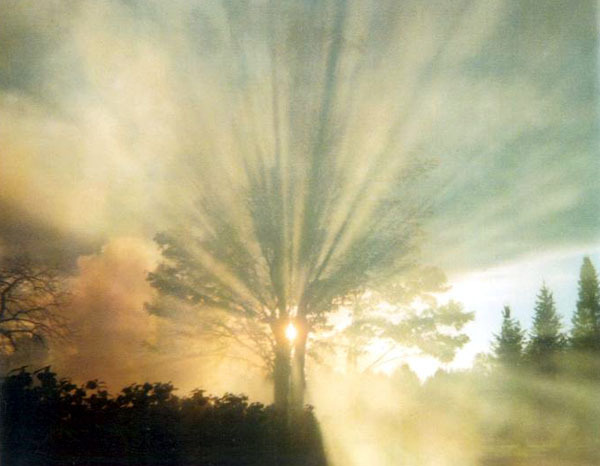 G-d in His Essence is Way, Way, Way beyond being limited to any Divine Name, and the different Divine Names are merely analogous to different colored Vessels by which man is able to relate to G-d, however the Divine Light that shines through these Vessels is ultimately the same, from the One and Only Divine Source of All. Hopefully everyone had a meaningful Tisha B’Av, and hopefully by next year we will already be able to celebrate that day as a holiday. Incidentally, the words תשעה אב, Thisa Av, “9 Av,” the 9th day in the month of Av, in gematria are 775 + 3 = 778, as in this year 5778, and very quickly now the status of this day and the status of the whole world will forever be changed to Peace and Perfection. As noted above, the words תשעה אב, Tisha Av, “9 Av,” the 9th day in the month of Av, in gematria are 775 + 3 = 778, as in this year (5)778, and to this it could be added that since Av is the 5th month, therefore the more complete hint is 5-778. This hint corresponds specifically to this year [and likewise 2 years from now when the hint will also include the gematria of the prefix letter Beis, ב’אב, B’Av]. A few days following Tisha B’Av every year comes the quasi holiday of Tu B’Av, the 15th of Av, connected with the appearance of a full moon, that represents renewal of Israel after the destruction associated with Tisha B’Av, about which the Mishna states that Yisroel never had such holidays like Yom Kippur and Tu B’Av, indicating the great elevation of this day. 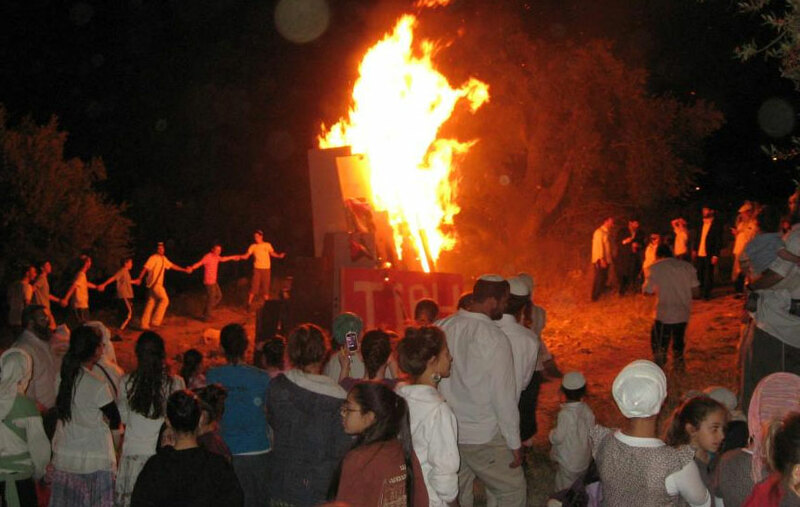 This year Tu B’Av starts tonight, Thursday night, and continues on Friday, and it is obviously another auspicious date with great potential for the redemption. At the end of the day, going into Friday night, Shabbos, there will be a special unusual complete lunar eclipse that may be a sign in the sky of interesting things that are developing, especially when the light of the moon is renewed after the eclipse. 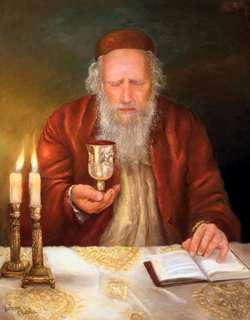 This coming Shabbos has a special name, Shabbos Nachamu, a Shabbos of Consolation and Comfort after the destruction, based on the Haftora reading (Isaiah 40:1-26), Nachamu Nachamu Ami, “Comfort, comfort My people, says your G-d,” when we look forward to renewal of our connection with Hashem. The Torah portion read on this Shabbos after Tisha B’Av is VoEschanan, which is a very significant reading since it contains within it the first paragraph of Shma and the repetition of the Ten Commandments. The gematria of the word ואתחמן, VoEschanan, is 515, and it is possible to say that this number hints to Tu B’Av, the 15th of Av, since it is a combination of the 5th month and the 15th day, 5-15, and this is a strong hint that comes every year. Since we have discussed the Divine Name E-l Sha-dai and its association with the number 8, it is significant to point out that the first 3 letters of Eicha are gematria 31, the same as the Name E-l, and the next 3 letters are gematria 315, the same as the Name Sha-dai plus 1 for the Kolel. Alternatively the first word is gematria 36, like HoE-l, The G-d, and the second word is gematria 317, the same as Sha-dai with 3 more for its 3 letters, 314 + 3 = 317. Alternatively the total gematria of the two words is 36 + 317 = 353, which is the same as E-l Sha-dai plus 8 symbolizing the 8 strings of Tzitzis and 8 days for circumcision, 31 + 314 + 8 = 353. It is interesting that this reading starts with the word Ki, in gematria 30, which with 1 for the Kolel is 31, the same as the gematria of the Name E-l. The second word Sohlid is gematria 450, which as explained above is 10 times the Divine Name of 45 letters, and equal to the gematria of the word טלית, Talis, 449 with 1 for the Kolel. Together the two words sum to 30 + 450 = 480, which is the same as 10 times the 48 words of the first paragraph of Shma that are written in the Torah in this same Sedra VoEschana. Interestingly, it is brought in Seforim that the first words of this verse ויעבר י-ה-ו-ה, VaYa’avor Hashem, in gematria are 288 + 26 = 314, the same as the Name Sha-dai. It is also brought that the initials of these words and the next word על, Al, are letters Vov Yud Ayin, in gematria are 6 + 10 + 70 = 86, and similarly the initials of the next words פניו ויקרא, Ponov V’aYikrah, letters Peh Vov, in gematria are also 80 + 6 = 86, the same as the gematria of the Name א-להים, Elokim, G-d. In addition it can be said that the next two words על פניו, Al Ponov, “before him,” in gematria are 100 + 146 = 246, and with 2 for the 2 words sum to 246 + 2 = 248, the same as אברהם, Avrohom, who likewise arouses mercy for his children and grandchildren after him, and the same as the 248 positive commandments that when we do them we likewise arouse Hashem’s mercy upon us. The next word ויקרא, VaYikra, “and He called out,” in gematria are 317, which as just pointed out is the same as the Name Sha-dai plus 3 for its3 letters, 314 + 3 = 317. Also interestingly the 3 Names that come next, Hashem Hashem E-l, are gematria 26 + 26 + 31 = 83, and with 3 for the 3 words sum to 83 + 3 = 86, the gematria of the Name Elokim. Having again herein mentioned multiple Divine Names, therefore this is a fitting place to again stress that there obviously is Only One G-d, however He is called by different Names depending upon the context, in order to focus our attention on specific Attributes of G-d in His relationship with His creations. The Jewish year ends with a 7 week period of comforting and consolation expressed in the Haftoras read aloud in Shul on Shabbos from the words of the Prophets predicting the end of exile and the coming of the redemption. The first of these seven is the Haftora read this past Shabbos, Shabbos Nachmu, from the words of Prophet Yeshayah, נחמו נחמו, Nachamu Nachamu, “Comfort ye, comfort ye, My people, says your G-d…” (Isaiah 40:1-26). This comforting message in the plain sense of the Scripture is amplified by recognition that the 4 letter word Nachmu at the beginning of this verse is gematria 50 + 8 + 40 + 6 = 104 = 4 x 26, i.e., it is a hint to a 4-fold revelation of Hashem, and repetition of the word Nachamu, i.e., 8 letters with gematria 104 + 104 = 208 = 8 x 26, hints to an 8-fold revelation of Hashem. There is a special connection of the number 8 to Moshiach, and correspondingly the two words at end of this 5 word verse, יאמר א-להיכם, Ymar E-lohaychem, “says your G-d,” are gematria 251 + 106 = 357, and with 1 for the Kolel, equals 358, the gematria of the word משיח, Moshiach. The middle word in the verse, עמי, Ahmi, My people, is gematria 70 + 40 + 10 = 120, a number symbolizing completeness, as in the verse “…therefore shall his days be one hundred and twenty years” (Genesis 6:3), and as in the 120 years of Moshe Rabbeinu’s life. All together the gematria of the first 3 words of the verse is 208 + 120 = 328, and with 1 for the Kolel is 329, which is the same as the combination of Divine Names Sha-dai and Yud-Heh, 314 + 15 = 329. The gematria of whole verse is 208 + 120 + 357 = 685, which is the same as two times the gematria of the Name Shadai, plus two times the gematria of the Name Hashem, plus 1 for each Name, plus 1 for a general Kolel to indicate that all these Names are One, 314 + 314 + 26 + 26 + 4 + 1 = 685. Alternatively, the gematria of the whole verse plus a Kolel of 1 for each of the 5 words of the verse, 685 + 5 = 690, and this is equal to the combination of the gematria for the Divine Names Sha-dai and Yud-Heh, and the gematria of Moshiach, plus a Kolel of 1 for each Name or Title, 314 + 15 + 358 + 3 = 690. In addition, the second verse in the Haftora starts with the two words דברו על, Dabru Al, “Speak upon,” “Speak upon the heart of Jerusalem and proclaim unto her, that her time of service is accomplished, that her guilt is paid off, that she has received of the hand of Hashem double for all her sins…” It is interesting that the gematria of these words is 212 + 100 = 312, and with a Kolel of 1 for each of the 2 words, 312 + 2 = 314, also the same as the gematria of the name Sha-dai. These two words together with the next word לב, Lev, “heart,” gematria 32, plus 1 for the Kolel, sum to 212 + 100 + 32 + 1 = 345, the same as the gematria of the combination of the Divine Names E-l and Sha-dai, and the same as the name Moshe. Similarly the word וקראו, V’kiru, “and proclaim,” that follows the word Jerusalem in this verse, is gematria 313, and with 1 for the Kolel, equals 314, again the same as the Name Sha-dai. The next word אלי-ה, Eileho, unto her, may be seen as composed of two Divine Names, the Name Alef Lamed, E-l, and the Name Yud Heh, thus these two words together hint to a triad of Divine Names, Sha-dai, E-l, and Yud Heh. Another example of combinations of Divine Names is in the first verse of Shma, where even the plain meaning of the verse is that the Divine Names Hashem and Elokim are One. On a hinted level, another example is in the very first two letters of the word Shma, Shin and Mem, which spell the word שם, Shem, “Name,” and in gematria these two letters sum to 300 + 40 = 340, which corresponds to the combination of the two Divine Names, Sha-dai and Hashem, since 314 + 26 = 340. Also the initials of these two Divine Names are hinted in the letters Shin and Mem, since as explained above the letter Shin is the initial of Sha-dai, and in the את בש, A-T Ba-Sh code, the initial letter Yud of Hashem transforms into a letter Mem. Once again various combinations of Divine Names have been explained, and again it is important to stress that the Divine Light that shines through all these Names is One and Only One. This is also expressly stated in other verses of the Torah, for example, in Hashem’s words to Moshe (Exodus 6:2-3), “And E-lohim spoke to Moshe and said to him ‘I am Hashem. And I appeared to Avrohom, Yitzchok, and Yaakov, as E-l Sha-dai, and did not allow them to know Me by My Name Hashem.’” This is a combination of four different Names, and it is clear that they all refer to One and the same Divinity. This is also evident in Moshe’s prayer at the beginning of Vo’Eschanan, the Sedra read last Shabbos (Deuteronomy 3:23-24), “And I pleaded with Hashem at that time saying; Ado-noi E-lohim (written Hashem)…,” again a combination of Divine Names, and it is obvious that they all refer to the same One G-d. In these verses, and in many others in the Torah, multiple Divine Names are used, but from the plain meaning and the plain context of the Scriptures, and likewise esoterically, it is fully evident that there is Only One G-d, and all the varying Names refer Only to Him. Awareness of these verses, and understanding their plain and inner meanings, and their promise of the coming revelation of Hashem and of the imminent coming of Moshiach, bolster our belief and knowledge that there will definitely be an end to exile when good will prevail forever over evil, and this surely enhances our feelings of comfort and consolation and renews our trust in Hashem and our hope for the onset of an extremely brilliant future very soon indeed. This expression alludes to the Shma since the letters of the word שאו, Se’u, “Lift up,” spelled Shin, Alef, Vov, hint to the initial letter Shin of the first word, ש’מע, Sh’ma; the initial letter Alef of the last word of Shma, א-להיכם, E-lohaichem, or the initial letter Alef of the word א’מת, Emes, joined to the end of Shma, or the initial letter Alef of the last word of the first verse, א’חד, Echod; and the letter Vov, gematria 6, hints to the 6 words of the first verse, or alternatively to another traditional custom for when reciting Shma, to tilt one’s head slightly toward all 6 directions, up, down, front, back, right and left, when one prolongs the pronunciation of the word Echod, One, in order to concentrate and show with one’s movement that Hashem Echod rules over the heavens and the earth and everywhere throughout the 4 corners of the earth. This verse at the beginning of Bamidbar also stresses that the counting was of כל עדת בני ישראל, Kol Adas Bnei Yisroel, “the entire congregation of the Children of Israel,” and the word כל, Kol, “entire” or “all,” in gematria 50, corresponds to the 48 word of the first paragraph of Shma, plus the 2 words spelled by the two large letters in the first verse, עד, Eid, “witness,” and דע, Da, “know,” 50 = 48 + 2, as was previously explained. Thematically, too, the idea of reciting Shma is also to elevate the heads and minds of Bnei Yisroel, “Hear – and Understand – O Israel,” to think lofty thoughts about Hashem’s Oneness and His dominion over all worlds, and as we have explained, the idea of counting, counting every word, every letter, and every member of the congregation of Israel, is also inherent in the Shma, especially as the recital of the Shma is an essential aspect of the congregational prayer service. These words in Bamidbar verse 2 also contain another equal letter skip hint to the Name Sha-dai, very similar to the hint explained in the previous comment on verse 1: Starting from the 8th letter in the verse, the letter Shin at the end of the word ‘ראש, Rosh, head, skip 3 letters and the 4th letter is the Dalet in the middle of the word עד’ת, Adas, congregation, then skip another 3 letters and the 4th letter is the letter Yud at the end of the word ‘בני, Bnei, Children, ראש’ כל עד’ת בני’ ישראל. Both in verse 1 and in verse 2 the Name Sha-dai is revealed by skipping 3 letters and counting the 4th letter over a span of 9 total letters. In verse 1 the sequence starts with letter 13, Shin, then letter 17, Dalet, and then letter 21, Yud. 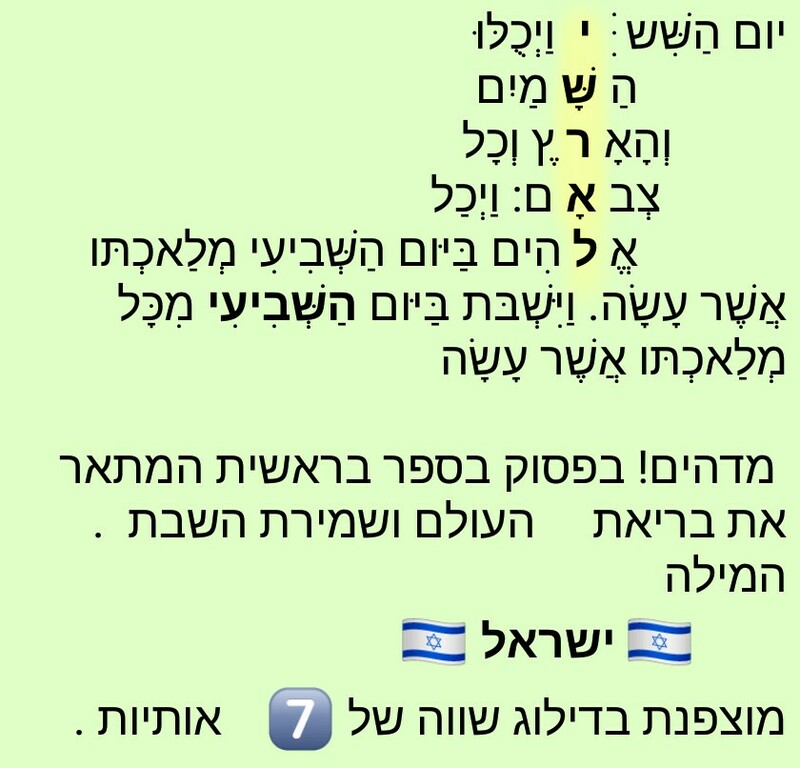 In verse 2 the sequence starts with letter 8, Shin, then letter 13, Dalet, and then letter 17, Yud. It seems significant these hints to the Name Sha-dai appear hinted like this in successive verses at the beginning of a Sefer, and that the numbers associated with the position of these letters in these respective verses resonate and overlap, and these numbers are also relevant and have been discussed before in this discourse on the Shma. In reference to verse 1 it was explained that there is also a hint to another Name Sha-dai in the gematria of the letters that were skipped, and likewise for verse 2 a meaningful hint appears in the skipped letters: The gematria of the first 3 skipped letters, Chuf Lamed Ayin, is 120, and the gematria of the second 3 skipped letters, Tav Bais Nun, is 452, summing to 120 + 452 = 572, which is the same as the gematria of the next word in the verse, ישראל, Yisroel, 541, plus the gematria of the Name א-ל, E-l, 31, for a total of 541 + 31 = 572. Adding 1 for the Kolel, 572 +1 = 573, which is the gematria of Yisroel, 541, plus 32, the gematria of the word לב, Lev, heart, and together this represents the Israelite man wearing around his heart the Talis with 32 strings of Tzitzis. The Name Sha-dai is also hinted in these skipped letters since their sum 572 = 314 + 258, where 314 is the gematria of the Name Sha-dai, and 258 may be meaningfully understood in many ways, one example being that 258 = 248 + 10, hinting to the 248 positive commandments plus the 10 commandments, which as explained in many places, and as may also be further explained in another comment here, the 10 commandments are also hinted in the Shma and should be kept in mind when reciting the Shma. Alternatively, since the name Yisroel, 541 = 314 + 227, i.e., the gematria of the Name Sha-dai plus the gematria of the word ברכה, Brocha, “Blessing,” therefore 572 = 31 + 314 + 227, is the combination of the gematrias of the Names E-l Sha-dai and Brocha, Blessing. Additionally, with 1 for the Kolel, 227 + 1 = 228, which is the gematria of the word ברוך, Boruch, “Blessed is,” as in the first word of the Blessings composed by our sages for us to recite upon all occasions, including the Blessings connected with the saying the Shma, and as in the first word of the silent verse, Boruch Shem Kevod Malchuso L’Olam Vo’ed, “Blessed is the Name of His glorious kingdom forever and ever” [with the last word of this verse ending in the letters עד, Ayin Dalet, as will also be explained in another comment]. Alternatively the number 572, plus a Kolel of 1 for each of the 4 words spanned by this string of letters, sums to 572 + 4 = 576, which 576 = 2 x 288, and as explained in a previous comment, 288 corresponds to the 287 letters of the third paragraph of Shma plus 1 for the Kolel, alluding to the 288 holy sparks from which the world was created, and the doubling of this number may hint to the inner and outer aspects of these sparks, which are all created and controlled by Hashem E-l Sha-dai. The Torah continues in the next verse (1:3) with a description of those who were to be counted, כל יצא צבא, Kol Yotzei Tzovo, “all who are able to go out to the army.” It is interesting that in gematria these 3 words sum to 50 + 101 + 93 = 244, and with a Kolel of 1 for each of the 3 words, and 1 for the united phrase, the sum is 244 + 3 + 1 = 248, the same as the number of words associated with the recital of the Shma, and the same as the number of positive commandments, and the same as the gematria of the name Avrohom. Additionally the initials of these words, Kuf Yud Tzadi, are gematria 20 + 10 + 90 = 120, a number denoting completeness, as in 12 x 10, indicating the completeness of the Twelve Tribes, and as explained in the previous comment, also indicating the completeness of the years of man’s life and the years of Moshe’s life. The final letters of these words, Lamed Alef Alef, are gematria 30 + 1 + 1 = 32, the gematria of the word Lev, heart, which beats throughout man’s life, which and corresponds to the 32 strings of Tzitzis on the Talis that one wears over one’s heart. This phrase Kol Yotzei Tzovo also alludes to the Divine Name צ-באות, Tze-vaos, indicating that Hashem is the “L-rd of Hosts,” i.e., the “Commander in Chief” of the legions of heaven and of the legions of the earth. 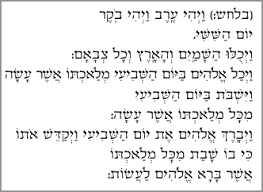 The Name Tze-vaos does not occur explicitly in the Torah itself, but appears for the first time in the Book of Shmuel, in the prayer of his mother Chana, and then frequently in Nevi’im and Kesuvim, and always in association with other Divine Names. However in the Torah the Bnei Yisroel are called “Tzivos Hashem,” “the army of G-d,” right from their Exodus from Egypt (Exodus 12:41), and that is the first time that a word with the exact letters that could also spell the Name Tze-vaos occur together in the Torah [see also Genesis 2:1, Exodus 6:26, and in many places]. In the context of this discussion it is also relevant that as explained in many places the recital of the Shma and performing the Mitzvos of Shma, Tefillin, Mezuzah, and Tzitzis, also have a special Segulah, beneficial quality, of being able to draw forth Hashem’s protection and ensure the success of Israel’s armies in the battles and wars they wage. Therefore in our recital of the Shma and in our performance of these Mitzvos we surely should also have this in mine, especially in times such as this, when Hashem’s protection and salvation is so needed and necessary, both on a personal and congregational level. Interestingly, the gematria of the Name Tze-vaos is 499, and with 1 for the Kolel it is an even 500. Since Hashem is the L-rd of Hosts over both the spiritual realms and the over the physical realms, and this is inherent in what we proclaim in the Shma when we declare Hashem’s dominion over the heavens and over the earth, therefore it comes out nicely that 2 x 500 = 1000, corresponding to the number of letters in the three paragraphs of Shma. In previous comments three distinct traditional hand and head movements that are made while closing one’s eyes and reciting the first verse of Shma were explained (and generally one’s eyes are not opened until after the recitation of the silent verse Boruch Shem). ש. The first custom is holding one’s hand so that the three middle fingers form a letter Shin on the forehead, the thumb forms a letter Dalet placed over the right eyelid, and the pinky forms a letter Yud over the left eyelid. This corresponds to the letter Shin of the Name Sha-dai, since in this manner the Name Sha-dai is spelled out, and the letter Shin formed by one’s middle fingers is the most prominent feature. ד. The second custom is holding one’s hand with four fingers stretched out over one’s eyes and the thumb pointing up. This corresponds to the letter Dalet of the Name Sha-dai, since in this manner one’s hand forms the shape of an upside-down letter Dalet, and Dalet is gematria 4, and the 4 four fingers over the eyes are the most prominent feature. י. The third custom is tilting one’s head up and down and to the four directions when reciting the word Echod and meditating on the Oneness of G-d. This corresponds to the letter Yud of the Name Sha-dai, since basically the head itself is shaped like a letter Yud, and this slight circular motion of the head traces the shape of a Yud. Practicing these customs while meditating during Shma is a powerful way to strengthen one’s connection to El Sha-dai, Hashem Echod. It is important to remember however that none of these customs are requirements, and it is best to do whatever helps one to concentrate and fix one’s attention on Hashem and on the meaning of the words of the Shma. An interesting hint is brought with regard to the hand and fingers covering the eyes while reciting the Shma, that the first verse of Sham, שמע ישראל ה’ אלקינו ה’ אחד, Shma Yisroel Hashem Elokeinu Hashem Echod, “Hear O Israel, Hashem is our G-d, Hashem is One,” is gematria 410 + 541 + 26 + 102 + 26 + 13 = 1118, and similarly the combination of words for hand, thumb, and the other fingers, יד גודל אצבע אמה קמיצה זרת, Yad Godel Etzba Amo Kemitza Zeres, sum to 14 + 43 + 163 + 46 + 245 + 607 = 1118. It should be kept in mind that the recital of the Shma must not be merely a recital with one’s lips, but rather it should involves one’s entire body, soul, and might, and certainly these movements proscribed by tradition are part of this requirement of praying in a manner that “all my limbs shall exclaim” (Psalms 35:10). This is also one of the explanations for why it is customary to bend and sway frontward and backward and right and left (“Shukling”) when praying or when studying Torah. It should also be kept in mind that in many respects these hand and head movements while reciting the Shma are similar to a form of salute, such as is performed by servicemen in the military, and since the congregation of Israel stands and fights for Hashem, therefore they are “Tzivos Hashem,” the “Army of G-d,” and these customs likewise can be considered as forms of salutes and pledges of allegiance to Hashem Tze-vaos, our Commander in Chief. During the weekday morning service there are also other actions traditionally associated with the recital of the Shma. The custom is to grasp the Tzitzis in one’s left hand and hold them opposite one’s heart throughout the recital of Shma. This is done starting from in the prayer “With abundant love You have loved us, Hashem, our G-d,” which ends with the blessing “Blessed are You, Hashem, Who chooses His people Israel with love,” which is said right before the recital of the Shma. Generally the Tzitzis are held in this way from when one says the words “gather us from the four corners of the earth,” which hints to the four corners of the Talis to which the Tzitzis are tied. The custom is that when reciting certain relevant words in the third paragraph of Shma, and in the prayer immediately after the Shma, one lovingly kisses the Tzitzis. On each occasion this is done the Tzitzis are first passed by over the right eye, then over the left eye, and then they are lovingly kissed with one’s lips. Also before reciting the Shma one should touch one’s Tefillin and make sure they are being worn properly, with the hand Tefillin on the top of the biceps muscle of the left upper arm, across from one’s heart, and the head Tefillin on one’s forehead between one’s eyes and above the hairline. The Tefillin are not kissed directly for the recitation of the Shma (since that is not possible to do while wearing them). Rather one first kisses one’s fingertips and then touches and transfer the kiss to the Tefillin, or one first touches the Tefillin and then kisses one’s fingertips, or one does both one after the other. In the first paragraph of Shma we kiss the hand Tefillin while saying the words “you shall bind them as a sign on your arm,” and we kiss the head Tefillin while saying the words “and as an emblem between your eyes.” (In the first paragraph these verses are in the singular). In the second paragraph of Shma we similarly kiss the hand Tefillin while saying the words “you shall bind them as a sign on your arm,” and we kiss the head Tefillin while saying the words “and as an emblem between your eyes.” (In the second paragraph these verses are in the plural). In the third paragraph of Shma we kiss the Tzitzis while saying the word “Tzitzis,” each of the three times this word is said. 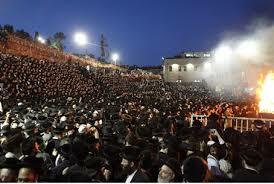 All together there are 10 customary kisses given to the Tefillin and to the Tzitzis. The Tefillin are kissed 2 times in the first paragraph and 2 times in the second paragraph, and the Tzitzis are kissed 3 times in the third paragraph of Shma and 3 times in the prayer immediately after the Shma, for a total of 2 + 2 + 3 + 3 = 10 kisses directed to Hashem and to His Mitzvos. These special traditional customs may be understood as parts of a single set of salutes, pledges of allegiance, and kisses directed to Hashem as part of reciting the Shma. All together they sum to 3 + 10 = 13 distinct salutation gestures, with the gematria 13 again corresponding to the theme of אחד, Echod, One, that G-d is One, and אהבה, Ahavah, Love, that we are connected to Him with Love. By having proper intentions while reciting the Shma, and by practicing these time-honored and cherished customs, we will surely be able to arouse Hashem’s 13 Attributes of Mercy, to arouse and bring forth salvation for us, for our families, for the whole Congregation of Israel, and for the all the people of the entire world. In addition to what was explained before, there is another hint to the Name Sha-dai in the first verse of Sefer Bamidbar, since the last letters of the three words ‘באחד’ לחדש’ השני, b’echo-D’ lachode-Sh’ hashein-I’ (“in the first [day] of the month the second [month]”), the final letters Dalet Shin and Yud are again the letters of the Name Sha-dai. Although the letters seem to be out of order, with the Dalet before the Shin, still, when viewed from another angle, the disarrangement is understood to actually highlight the primary theme. This corresponds to the middle letter Shin being primary in the order of the letters Dalet Shin and Yud in the way the hand is held for reciting Shma, with Dalet shaped by the thumb, Shin by the three middle fingers, and Yud by the pinky, and yet the middle letter Shin retains prominence since it is formed by three fingers, not just one, and since it is held on the forehead above the eyes, above the thumb and pinky. As noted before, the sign of the Name Sha-dai in one one’s hand for Shma corresponds to the way the words “Kosesh l’Hashem,” “Holy to Hashem,” were embossed on the Tzitz, the Kohen Gadol’s golden headband, where the Name “Hashem,” although later in the sequence of these words, was embossed higher up on the headband, in order to give prominence to the Name. This order also corresponds the previously mentioned hint in the third paragraph of Shma to the Name Sha-dai, in the word קד’ש’י’ם, Kedoshim, “and you shall be holy unto G-d,” where also the order of the letters is also Dalet Shin Yud, with Shin in the middle. The first set of three letters that are skipped while forming this hint to the Name Sha-dai, ‘באחד’ לחדש’ השני, letters Lamed Ches Dalet, sum to 30 + 8 + 4 = 42, and the second set of three letters, Heh Shin Nun, sum to 5 + 300 + 50 = 355. It is well known that 42 is a significant number, representing the mystical Divine Name of 42 letters, and 355 may be interpreted many ways, including that with a Kolel of 1 for each of the 3 letters, 355 + 3 = 358, the gematria of the word Moshiach. Further the sum of all 6 skipped letters when summed together is 42 + 355 = 397, and 397 is the 78th prime number, which is also very significant. Interestingly 355 with 1 for the Kolel is 356, which is the same as the gematria of Sha-dai plus the mystical Name of 42 letters, since 314 + 42 = 356, thus this indicates another hint to the revelation of the Name Sha-dai. Additionally, with a Kolel of 1 for each of the 3 words, these skipped letters sum to 42 + 355 + 3 = 400, hinting to the 4 letters of the Name Hashem, the 4 corners of the Talit, the significant numbers 40 and 400, and so on. The sum of the gematria of these three words באחד לחדש השני, B’echod Lacchodesh Hasheini, is 15 + 342 + 365 = 722. It is possible to say that this corresponds to a combination of two times the Name Sha-dai, the Name Hashem, and the Name Ad-nai, together with a Kolel of 1 for each of these 3 different Divine Names, 314 + 314 + 26 + 65 + 3 = 722. Alternatively 722 = 2 x 361, and this represents a double dose of the supernatural, since 361 is 1 more than the full 360 degrees of a circle. Also significant is that 361 = 19 x 19, and 19 is the 8th prime number, with the number 8 again representing the supernatural since it is 1 more than the 7-day natural cycle. Further, the initial letters of the words ב’אחד ל’חדש ה’שני, Beis Lamed Heh, are the reverse of the word הלב, HaLev, “the heart,” which indicates the importance of having consciousness of the Divine Names in our hearts, frontwards and backwards. Moreover, the gematria of these three initial letters is 2 + 30 + 5 = 37, like the gematria of the word דגל, Degel, flag, and the topic of the flags of the 12 Tribes is featured prominently in the Sedra, as will soon be explained in greater detail. Now examine again the previous two words, the 7th and 8th words in the Sedra, באהל מועד, B’Ohel Moed, “in the Tent of Meeting,” and note that the initials of these words are letters Mem Bais, gematria 42, representing the mystical Divine Name of 42 letters. Also note that the word B’Ohel is gematria 38, which resonates with the numbers just mentioned, since 38 = 19 + 19, and also since it is the same as 37 + 1 for the Kolel, and thus this stresses and reverberates with similar themes. Also note that in the word Moed, Meeting, again the important letters Ayin and Dalet form the root of this word, and they are reminiscent of the large letters Ayin and Dalet in the first verse of Shma. Notice how the letters Ayin and Dalet of the first verse of Shma, being large letters, stand out like “flags” and “banners” for us to see when reading the verse. Interestingly, the letters Ayin and Dalet are gematria 70 + 4 = 74, and 74 = 2 x 37, i.e., 2 times the gematria of the word דגל, Degel, flag, since these letters are two “flags” that fly eternally as an עדות, Eidus, testimony to the connection between Hashem and Israel, as shall be further explained. These hints go on and on endlessly, but for now let’s pause after mentioning just one more interesting point about the census described here at the beginning of Sedrah Bamidbar. Hashem commanded for the census to be conducted by Moshe and Aharon and 12 leaders representing the 12 Tribes. It is significant that the gematria of Moshe, plus the gematria of Aharon, plus 1 for each of the 12 Princes of the Tribes who assisted them, sums to 345 + 256 + 12 = 613. The 12 tribes camped in 4 groups of 3, arranged according to the 4 directions. Yehudah, with Yissochar and Zevulun, on the east, first to march; Reuben, with Shimon and Gad, on the south, second to march; Ephraim, with Menashe and Binyamin, on the west, next to march; and Dan, with Asher and Naphtali on the north, last to march. The tribe of Levi camped in the center of the other 12 tribes, also arranged into 4 camps facing the 4 directions, with Moshe and Aharon and their families on the east, the family of Kehath on the south, the family of Gershon on the west, and the family of Merari on the north. The tribes surrounded the Leviim and the Leviim surrounded the Sanctuary at the very center. On the march the Leviim would carry the disassembled Tabernacle and march with it in the center of the marching order, after the divisions of Yehuda and Reuven and before the divisions of Ephraim and Dan. In connection to our discussion it is evident that the 4 cornered arrangement of the camp corresponds to the 4 cornered shape of the Talis, a rectangular 4 cornered garment, and when an individual Jew puts on the Talis with the proper intension he assumes a form that is representative of the entire encampment of Israel. Together with the tribe of Levi, there are 12 + 1 = 13 tribes, and since 13 is the gematria of the word Echod, one, therefore this resonates with the idea that Israel is Am Echod, one people, united together as one, with each individual included in the whole congregation and the whole congregation included in each individual. As noted before the word אחד, Echod, one, is composed of letters symbolic of Talis with Tzitzis since the gematria of its letters, 1 + 8 + 4, represent 1 for the Talis garment, 8 for the 8 strings of Tzitzis, and 4 for the 4 corners of the garment. In addition the letters the wor Echod sum to 13, and the 8 stings plus 5 knots of Tzitzis likewise sum to 13. When viewed from the perspective the total number of larger groups among the camps, it is seen that there are 4 general Israelite camps plus the general camp of the Levites, and these sum to 4 + 1 = 5 general camps, and the number 5 corresponds to the 5 knots of Tzitzis. When viewed from a more detailed perspective, since the Levi camp also was split into 4 groups, therefore it can be seen that the 4 Israelite camps plus the 4 more specific Levi family camps, sum to 4 + 4 = 8 camps, and the number 8 corresponds to the 8 strings of Tzitzis. When considering the total number of specific groups, there are 12 tribes plus 4 groups of Levi families, and 12 + 4 = 16, which corresponds to the 16 total whole strings of Tzitzis on the Talis, before the strings are folded over and tied, 4 strings no each of the 4 corners. The Mishkon, the Sanctuary and Dwelling Place of Hashem, where the divine services were performed, was in the center of the camp, and corresponds to a 17th aspect, representing an even higher level (and of course in the Mishkon itself there were also various levels of increasing sanctity). As previously noted 17 is the 7th prime number, and it is also the sum of the first 4 prime numbers, since 2 + 3 + 5 + 7 = 17, and in small gematria the number 17 is 1 + 7 = 8, again corresponding to the 8 strings of Tzitzis, and alluding to what is higher than nature. As previously mentioned, the Tribes camped and marched under Degalim, flags or banners, and this is mentioned prominently in Sedra Bamidbar. In the Torah it is only explicit that there were 4 flags, one for each division in each of the 4 directions, however in Medrash it is recorded that each tribe had its own flag as well, just as each tribe had its name inscribed on its own representative gemstone affixed to the breastplate of the Kohen Gadol. It is interesting that the root word דגל, Degel, flag, occurs in the Torah only in connection with these banners for the divisions of the Tribes. This includes 9 times in Sedra Bamidbar, and 4 more times in Sedra B’ha’aloscha, later in the Sefer Bamidbar, chapter 10. That makes a total of 9 + 4 = 13 times the word Degel occurs in the Torah, and this corresponds to the gematria of the words Echod, one, and Ahava, love. In all the rest of Scripture the root word Degel occurs only 4 more times, 3 times in the Song of Songs, the song of love between Hashem and Israel, and 1 time in Psalms, in Psalm 20, as was previously discussed (and see also below). The total number of times the word Degel occurs in all of Scripture is then 13 + 4 = 17, and these and it is amazing that these numbers also clearly resonate with what was just explained in connection with the arrangement of the Israelite encampment and marching in the desert. The connection of the idea of a flag or banner to Talis and Tzitzis is also self-evident, since a flag is basically usually a square or rectangular cloth that is held up by strings and knots that tie it to a staff or pole and held high so that it is seen from afar. The idea of the flags of the Tribes thus corresponds to the theme of the Talis and Tzitzis, a rectangular cloth with strings and knots, which ideally are worn in a way that they can be seen, as in the verse from the third paragraph of Shma, “and they shall be unto you as Tzitzis and you shall see it,” tying us to a high and lofty spiritual level where we are eternally attached to our tradition, to the historical leaders of our tribes, and to Hashem, the ultimate One Leader of all. 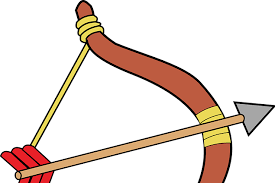 Incidentally the root of the word מטה, Mateh, used in Sedra Bamidbar and throughout the Torah in reference to the “Tribes” of Israel, initially has a meaning of “pole,” “rod” or “staff,” and refers to the staff or scepter in the hand of the leader of the clan or tribe. It has this meaning, for example, later in Sefer Bamidbar (Numbers 17:16-26), in the episode of the miraculous sprouting of Aharon’s staff in the test of Aharon’s being chosen for the high priesthood, in which specifically his staff blossomed and gave forth fruit while with the staffs of the leaders of the tribes did not sprout. As mentioned before the word דגל, Degel, flag, is gematria 37, and thus it is also connected to the number 37 x 10 = 370, which as explained above is the gematria of the word שלם, Sholeim, “complete,” and similarly the word שלום, Sholom, peace, when written without the letter Vov. The number 37 is the 12th prime number and also represents the completeness of the 12 Tribes, as well as a completeness of the 10 Sephiros, since 3 + 7 = 10, with 3 x 10 = 30 corresponding to the 3 higher Sefiros and with 7 corresponding to the 7 lower Sefiros. Previously I also wrote that of the 70 words in Psalm 20, which hint to the last 70 years of exile, which finish this year, the 33rd word of the Psalm is נדגל, Nidgol, “we will raise our banner” [here fixing the previous typo where I accidentally left out the last letter Lamed]. Previously I explained that this hints to Lag B’Omer, the 33rd day of he Omer, since the last two letters are Gimel Lamed, the same as La”g, and the custom on Lag B’Omer is to parade around with our flags raised and the like. There I also explained that one of the meanings of the word formed by the root letters Gimel Lamed, גל, is an Uprising, a Heap, a Hill, and similarly the beginning of the word Nidgol, letters Nun Dalet, spell נד, Naid, itself a word that means a Heap, an Uprising, etc., so together then the word Nid-gol has a mean that corresponds to a double heap, i.e., Hod she’b’Hod. The full verse (Psalm 20:6) states, “May we sing for joy at Your salvation, and raise our banner in the Name of our G-d, may Hashem fulfill all your requests.” By having proper intention in our prayers, and “raising our banner in the Name of our G-d,” we are assured that our requests will be fulfilled, including the request for the end to exile and the dawning of a new era with the coming of Moshiach. Regarding the modern day flag of Israel, flying proudly now over the reestablished nation of Israel for 70 years, it is common knowledge that its design was based on the Talis and the blue color was based on the Techeiles-blue color of the ancient Tzitzis string. See Wiki’s entry on the Israeli flag for example, “Origin of the flag: The blue stripes are intended to symbolize the stripes on a tallit, the traditional Jewish prayer shawl. The portrayal of a Star of David on the flag of the State of Israel is a widely acknowledged symbol of the Jewish people and of Judaism. The Israelites used a blue coloured dye called tekhelet…” This is also explained in many other places as well. It is interesting that the numbers 73 and 37 are related in that they are the same digits just in reverse order, and as has been explained here, 37 is the gematria of the word Degel, flag, and it is entirely appropriate that the Magen David is the emblem on the Israeli flag. We are grateful for all the revelations so far and look forward to more wonders still yet to come. The 4 triangular points on the sides of the Magen David correspond to the 4 divisions of tribes that camped facing the 4 compass directions. The 3 lines that comprise each triangular point correspond to the 3 tribes in each division, thus the star’s 4 side points correspond to the 4 x 3 = 12 tribes. The triangular point at the bottom of the Magen David corresponds to the camp of the Leviim, with the 3 lines of this triangular point corresponding to the 3 Levite families Kehos, Gershon and Merari. The Leviim correspond to the bottom point of the star because it was the task of the Leviim to physically disassemble the Tabernacle Sanctuary, carry it from place to place, and to prepare the ground and erect it on the site of each encampment, and also to physically guard it and its location. The Leviim thus correspond to the lower point, the base of the Magen Dovid, because of their mission to attach the Tabernacle to the ground. The triangular point at the top of the Magen David corresponds to the camp of Moshe and Aharon and the Kohanim, with the 3 lines of this triangular point corresponding to 1 for Moshe, the head of the government, the position of the King, 1 for Aharon, the position of the High Priest, and 1 for sons of Aharon, the rest of the regular Kohanim priests. The task of Moshe, Aharon, and the Kohanim, was to spiritually lift up and elevate the nation, and therefore they correspond to the upper point of the 6 triangular points of the Magen Dovid. The difference between this perspective of the camp arrangement, and the last perspective that was explained, is that from this point of view the campsite of the families of Moshe and Aharon are not viewed as 1 level, but rather as 3 distinct levels. From this perspective, the 6 points of the star correspond to the 4 compass directions, east, south, west and north, and the 2 height directions, up and down. It is possible that these 6 directions can be viewed as joined together in the manner of 4-2, i.e., as a reflection of the number 42, and thus the Magen David also hints to the Name of 42 Letters, which is associated with the 42 campsites of Israel’s sojourn in the desert. All together then the Magen David star consists of 6 triads of 3 lines each, summing to 6 x 3 = 18 lines, representing the חי, Chai, “living camp” of Israel, and this is fittingly symbolized on the flag of the eternally living nation of Israel. The center of the Magen David star, which binds and unifies all 6 points together, is a distinct 7th area, which obviously corresponds to the Sanctuary Tabernacle in the center of the camp. Together with the previous 18 lines which are 18 levels of Israel’s campsite arrangement, this center space therefore represents a 19th space and a 19th level. These numbers, 7 and 19, that identify the center primary area, are significant in that 7 is the 4th prime number and 19 is the 8th prime number. Therefore based on this perspective there is another hint in the campsite arrangement of Israel to the Talis and Tzitzis, with 7, the 4th prime number, corresponding to the 4 corners of the Talis, and to the 4 strings on each corner before being folded over and tied, and with 19, the 8th prime number, corresponding to the 8 finished strings of Tzitzis on each corner. In addition, the numbers 7 + 19 = 26, the gematria of the Name Hashem. Further, when viewed from a wider perspective, in addition to the 6 triangles forming the 6 points of the Magen David, there are 2 larger triangles, one point up and one pointing down, that form the Magen David. Therefore joining these perspectives together there are a combination 2 + 6 = 8 triangles, again corresponding to the 8 strings of Tzitzis. Viewed another way, these are 2 large triangles plus 6 small triangles, and with “large” interpreted as times 10, and “small” interpreted as simple digits, their combination corresponds to 20 + 6 = 26, another hint to the gematria of the Name Hashem. Also significantly, the word כוכב, Kochav, star, starts with letters Chuf Vov, gematria 26, again hinting to the Name Hashem, and the last two letters Chuf Beis gematria 22 hint to the 22 letters of the Alef-Beis. The full genatria of the word Kochav is gematria 20 + 6 + 20 + 2 = 48, which corresponds to the 48 words of the first paragraph of Shma. When written without the letter Vov, the gematria of the word Kochav is 20 + 20 + 2 = 42, corresponding to the 42 Letter Name. The words מגן דוד, Mogen David, Shield of David, are gematria 93 + 14 = 107, and Ezra often writes about how this number is very special, since it is the 28th prime number, the 11th of very few Mersenne primes, and significantly it is the sum of the integers from 1 to 107 is 5778, thus 5778, this special year, is the 107th triangular number. Additionally Ezra writes that adding the triangular numbers corresponding to the digits in 5778, i.e., triangular numbers with 5 levels, 7 levels, 7 levels and 8 levels, also sums to 15 + 28 + 28 + 36 = 107. Further 5778 = 54 x 107, with 54 being 3 times 18, Chai, and so on. Together the words Kochav Magen Dovid, Star Shield of David, sum to 48 + 93 + 14 = 155. This could represent 155 = 5 x 31, i.e., 5 times the Name E-l, or alternatively with 1 for the Kolel, 155 + 1 = 156 = 6 x 26, i.e., 6 times the Name Hashem. The number 156 is also the gematria of the name יוסף, Yosef, which in addition to the son of Yaakov named Yosef, and in addition to the tribe named Yosef, also refers to all 10 tribes of the Northern Kingdom of Israel, and at times even refers to all of Israel, since Yosef fed and supported all of them when they went down to Egypt and therefore they are all called by his name, and similarly Moshiach ben Yosef fights for all of Israel. The number 156 is also the gematria of the word ציון, Tziyon, Zion, and with this and all of the above it is understood how entirely fitting it is for the Magen Dovid star to be represented on the flag of Israel. The word Tziyon is also a closely related to the word ציצית, Tzitzis, since both words start with letters Tzdi Yud, with gematria 90 + 10 = 100, the complete number. Further the word Tziyon actually means a “mark” or “sign,” i.e., Zion is the sign of Hashem’s presence in Israel, and similarly, with regard to our discussion, the Tzitzis are a sign of Hashem’s presence in the individual Jewish person who wears them, and in the form of the flag that is patterned after the Tzitzis, extends Hashem’s presence over all of Israel. All of these ideas are also obviously closely connected to the theme of Moshiach, and wearing Tzitzis also obviously fans the spark and the star of the aspect of Moshiach in each individual, and certainly brings the coming of the Moshiach ben David ever closer. There are 12 lines on the outside perimeter of the star, 2 lines for each of the 6 triangular points of the star, and these correspond nicely to the 12 tribes who camped on the outside around the Mishkan Tabernacle. In contrast the 6 lines of the hexagon on the inside of the star correspond to the 6 families of the Leviim, i.e., the families of Kehos, Gershon, Merari, Moshe, Aharon, and Aharon’s sons, who camped inside the 12 tribes, closer to the Mishkan in the center. As for the 2 larger intertwined triangles of the more general perspective, they may also be understood as symbolizing the Jewish people a number of different ways. For example, one large triangle may symbolize the 3 forefathers Avrohom, Yitzchok and Yakov, and the second large triangle may symbolize their children, the congregation of Israel, composed of Kohanim, Leviim and Yisroelim. Also the 6 triangular points of the Magen Dovid may correspond to 6 Ushpizin and their spiritual archetypes, Avrohom, Yitzchok, Yakov, Moshe, Aharon, and Yosef, with the 7th level symbolized by the hexagon in the middle, corresponding to 7th Ushpizin, Dovid and Dovid Malka Moshicha. In the physical realm the 6 triangular points of the Magen David may represent the 6 spatial directions, right, left, front, back, up, down, with the central focus point, the 7th level in the center, the intersection of the x, y and z axes, representing the point of origin and point of rest for the dimensions of length, breadth and height. In the sky above the 6 points of the Magen David may symbolize the 6 moving heavenly bodies visible to the human eye that shine with reflected light, the Moon, Mars, Venus, Mercury, Jupiter, and Saturn, with the central 7th point in the center symbolizing the illuminating Sun in the center of the solar system. Here below on planet earth the 6 points of the star may symbolize the 6 inhabited continental land masses, Europe, Asia, Africa, North America, South America, and Australia, with the center symbolizing the holy land, Israel, which is also physically located at the center of the three continents Europe-Asia-Africa at the crossroads of civilization. Likewise, temporally, the 6 triangular points of the Magen David correspond to the 6 days of creation, the 6 days of the week, with the center space symbolizing Shabbos, the holy day of rest, when physical work is not done. The 12 lines of the perimeter may correspond to the 12 months of the year, to the 12 signs of the zodiac, to the 12 hours of the day and to the 12 hours of the night. The Magen David may also represent the Jewish holidays. The 2 larger triangles may symbolize Rosh Hashana and Yom Kippur, the 2 High Holidays, and the 6 triangular points may represent the 3 biblical festivals, Pesach, Shevuos, and Sukkos, and the 3 rabbinic festivals, Purim, Chanuka, and Tisha B’Av, with the center space again representing the Shabbos. The 2 large interlocking triangles may be understood as one triangle hinting to the Scriptural triad of Torah (Five Books of Moses), Neviim (Prophets), and Kesuvim (Writings), and the second triangle as hinting to three general levels of Scriptural interpretation, Peshat (the surface, plain or literal interpretation), Remez and Derash (the hinted or allegoric interpretations and homiletic expositions including moral and philosophical explanations and derivations of the laws [these are usually divided into two levels but they may also be considered as one]), and Sod (the secret or esoteric/mystical interpretation). Alternatively, one triangle may correspond to Mikra (Scripture), Mishna and Talmud, as in the dictum (Kiddushin 30a; Avodah Zorah 19b), “one should always divide one’s years (of study) into three (and devote) one third of them to Scripture, one third to Mishnah, and one third to Talmud. But does a man know the tenure of his life? What is meant is that he should apply this practice to every day of his life.” The other triangle may correspond to the necessary aspects of having proper Emuna (belief), Hashkafa (outlook) and Halacha (observance). Additionally the 2 larger triangles may correspond to the Jerusalem Talmud and the Babylonian Talmud, with the 6 smaller triangular points corresponding to the 6 orders of Mishna, which deal with the physical laws of the Torah, i.e., Zeraim (Seeds, about agriculture and the land of Israel and everyday ritual commandments), Moed (Appointed Time, about Sabbath and holiday laws), Nashim (Women, about relations between man and wife), Nezikin (Damages, about interpersonal relations, property, and judicial procedure), Kodashim (Sacred Things, about the service in the Temple and the sacrifices,) and Tohorot (Pure Things, about ritual purity and impurity). The more spiritual point in the center of the star may correspond to the more spiritual sayings of the Agada and Medrash. The Magen David star may also be viewed as corresponding to the Shma in a number of ways. For example, one large triangle may hint to the three paragraphs of Shma, with the other large triangle hinting to either the 3 physical Mitzvos in which the Shma is written on parchment, i.e., the Tefillin of the arm, Tefillin of the head, and the Mezuzah, or hinting to the 3 physical Mitzvos connected with our prayers, the Tefillin of the arm, Tefillin of the head, and the Tzitzis. Incidentally there is a correspondence between Mezuzah and Tzitzis, one being a reminder of Hashem on the edges of one’s rooms, houses or gates, while the other being a reminder of Hashem on the edges of our garments. The 6 points of the Magen David may correspond to the 6 words of the verse of Shma Yisroel, or to the 6 words of the silent verse Borch Shem, and the 12 lines on the perimeter of the star may correspond to the 12 words of these two verses of the Shma together. While focused on the Magen David this is a suitable time to point out an important allusion to David in the Shma, in the final letters of the last words of the silent verse ברוך שם כבוד’ מלכותו’ לעולם ועד’, Boruch Shem KevoD’ MalchusO’ L’olaom VoeD’ (“Blessed is the Name of His glorious Kingdom for all eternity”), which these three letters spell the name דוד, Dovid. It is entirely proper to have this hint in mind when reciting the Shma, and to pray that the glory of Hashem’s kingdom should be revealed through the scion of His servant Dovid, Moshiach ben Dovid. The remaining final letters of this verse, Chuf, Mem, Mem, sum to 20 + 40 + 40 = 100, which is he complete number 10 x 10, hinting to the thought that we should merit to this revelation of Hashem’s Kingdom through Moshiach ben Dovid in completeness. When viewed from the broadest perspective the Magen David may be seen to be composed of 2 larger interlocking triangles and 6 smaller triangle points, and making 8 levels, plus 1 hexagonal space in the center, which is a 9th level, and in addition there is also the expanse of space on the outside of the star, which may represent another level, the 10th level. Understood in this way one is able to see that the Magen David may correspond to the 10 Sefiros, with the large outside space encompassing everything else corresponding to the Sefirah of Kesser, the highest level that encompasses all, the 2 greater triangles corresponding to the greater Sefiros of Chochma and Bna, the 6 smaller triangles corresponding to the 6 lesser Sefiros of Chesed, Gevurah, Tiferes, Netzach, Hod, and Yesod, and the 1 space in the center corresponding to the Sefirah of Malchus. In this week’s Sedra, Ki Tzitzei, verse (Devarim 22:12) mentions the Mitzvah of Tzitzis, “Make for yourself Gedilim, fringes, upon the four corners of the garment with which you cover yourself.” The word גדלים, Gedilim, translated as “fringes,” “bound tassels,” or “twisted chords,” refers to the Tzitzis. The Gedilim are thus another name for Tzitzis, and more specifically they refer to the knotted and wound top section of the Tzitzis, which is the 1/3 of the total Tzitzis length, the other 2/3 being the length of the 8 loose strings that hang from there. This division of the Tzitzis into thirds resonates with our discussion of other triplet and triad patterns hinted in the triangles of the Magen David. Further emphasizing this, the word Gedilim starts with a letter Gimel, gematria 3, and ends with a letter Lamed, gematria 30, or small gematria 3, and thus this word also hints to overlapping or intertwined threes, in other words, a Magen David. The singular of the word Gedilim is גדל, Gedil, fringe, and this is very similar to the word גדל, Gadel, grow, which resonates with the word Tzitz, meaning bloom or blossom. It is also similar to the word גדל, Gadol, big or great, and this may be why the topmost part of the Tzitzis is called the Gedil, since due to the knots and the windings it is thicker and more complex and developed than just the plain strings. It is possible to say that the use of the name Gedilim for Tzitzis hints that wearing Tzitzis elevates the person and makes him grow and develop and become great, since thereby he is attached to Hashem, the source of all life, of all growth and of all greatness. The Torah’s use of the word Gedilim as an alternative word for Tzitzis also emphasizes the point that was made before, that the Tzitzis are comparable to the Israeli flag, since the letters of word גדל, Gedil, are the same, with only a slight rearrangement, as the letters of the word דגל, Degel, flag, and it has the same gematria 3 + 4 + 30 = 37. Further, since the number 37 consists of a larger number 30 and a smaller number 7, therefore this too hints to a Magen David, since the number 30 hints to the three higher Sephiros, Kesser, Chochma and Bina, corresponding to the background white space and the two large overlapping triangles, and the number 7 hints to the seven lower Sefiros, Chesed through Malchus, the 6 points of the star and the 1 hexagonal space in the center. September 15 is the 258th day of the year in the Gregorian calendar. There are 107 days remaining until the end of the year and as we already know the sum of the integers from 1-107 is 5778. After stating that we will be victorious in the battle, the account focuses on how a soldier of Israel’s army may be tempted by a female captive, and the Torah specifies the procedures for the desired woman to be converted and married, in a manner preserving her personal rights and human dignity. Our sages explain the “The Torah addresses the evil inclination,” thus controlling the soldier’s moral behavior and ensuring the most ethical outcome possible. According to our sages the Israelites that Amolek attacked were not on the highest level, but rather were those who were “expelled by the pillar of cloud” that hovered over and protected the rest of people, and this means that the stragglers who were attacked by Amolek were on a lower spiritual level and affected by the evil inclination. Similarly, where the attack of Amolek is first described, on the verse (Exodus 17:8-15), “Amolek came and fought with Israel in Refidim,” our sages explain that the name Refidim hints that in that place “Rofu yedeihem min haTorah,” “they slackened their hands from the Torah,” and this too implies that the attacked Israelites were affected by their evil inclination, and it is this weakness that led to Amolek’s attack. It is possible to say that these passages in Ki Satzei hint to the Mitzvah of Talis and Tzitzis. This is because, as explained before, the camp of Israel in the desert was rectangular shaped, like the rectangular four cornered Talis garment, and the idea of “when you go out to war,” when soldiers march out of the camp, generally marching in straight lines, corresponds to the idea of the strings of the Tzitzis that extend straight out from the garment. Similarly those attacked by Amolek were “those lagging to your rear,” i.e., those who trailed behind the bulk of the people, like the strings of Tzitzis that trail from the Talis. This comparison is even more evident since the strings of the Tzitzis often are subject to getting soiled, stepped on and even torn off, due to the way they are worn on the outside, and this corresponds to what potentially happens to both soldiers and stragglers who are subject to unkind elements and forces outside the safety of the camp, where they too are in danger of getting soiled, harmed, and even cut off. In addition, the Torah also stresses that Tzitzis are a protection against the evil inclination, as directly stated in the verse from the third paragraph of Shma (Numbers 15:38), “And it shall be for you Tzitzis, so that you see it and remember all the commandments of Hashem and perform them, and not turn aside after your heart and after your eyes [the evil inclination] after which you stray.” This is also explained at length by our sages o.b.m. This also explains the connection of the commandment of Tzitzis being written in the Torah at the very end of Sedra Shlach, which begins by relating the debacle of the spies sent by Moshe to scout out the land of Canaan, who returned with a negative report saying the Israelites could not be successful in a war against the very powerful inhabitants of the land. This again is another instance of individuals going out of the camp of Israel, and how the evil inclination prevailed over them leading to disaster. Toward the end of Sedra Shlach there are also a number of commandments pertaining to offerings to Hashem when the people would eventually enter the land, including communal and individual sin offerings that must be brought for even inadvertent sins of idolatry, which ultimately also these severe sins stem from failures to prevail over the evil inclination. Then, immediately before the passage with the commandment of Tzitzis, the Torah relates the account of a man who violated the laws of Shabbos, by going outside the camp to gather or cut sticks, and this is another instance of someone going outside the camp and having difficulty or failing to overcome the evil inclination. These passages and their order and context provide an indication that the Mitzvah of Tzitzis was commanded to a significant degree in order to counter the evil inclination, to discourage sin and any aspect of idolatry, and to help us maintain Hashem’s protection even under difficult conditions when outside the camp. Similarly regarding the commandment of Tzitzis in Ki Satzei, “Make for yourself Gedilim, fringes, upon the four corners of the garment with which you cover yourself,” this verse is right in the middle of a number of commandments that in various ways are designed to curtail the desires of the evil inclination, and again it is evident from the order and context of the passages that the commandment of Gedilim-Tzitzis has a beneficial effect to strengthen us and protect us from the evil inclination and the mistakes that it tries to entice us to commit. According to this explanation it also makes sense to say that in the merit of our fulfillment of the Mitzvah of Tzitzis we are able to draw beneficial blessings not just for ourselves, but rather, since we overlap and are intertwined with one another as one people, therefore our observance certainly also has a beneficial influence for all our brethren. Even for the forces of the Israeli army who go out to war, and for our fellow brethren who for whatever reason find themselves either physically or spiritually outside the camp of Israel, our keeping of the Mitzvos, and in particular the Mitzva of Tzitzis, helps ensure that the contrivances of the evil inclination are contained and thwarted, and that in all situations, even difficult ones, we will always stay connected to our people and to Hashem. The previous comment explained that in addition to all its other holy aspects, the Mitzvah of Tzitzis was given to protect us from the evil inclination. This is timely for us to have in mind as we prepare for Rosh Hashanah, which marks the anniversary of first sin caused by the evil inclination, eating the forbidden fruit of the Tree of Good and Evil. The Torah says and that after Hashem pronounced judgment for the sin, “Hashem Elokim made for Adam and his wife garments of skin and he clothed them” (Genesis 3:21). Rosh Hashanah thus commemorates all the momentous events of the 6th day of creation, the creation of man, the sin, the judgment, and the clothing of man in special garments given directly by G-d.
Our sages explain that the Torah stresses Hashem’s kindness, for right from the beginning Hashem performed an act of kindness by making special garments and clothing Adam and Eve, and likewise the end of the Torah stresses that Hashem performed an act of kindness by burying Moshe Rabbeinu, and we are obliged to learn from Hashem’s ways to emulate what He does, just as He clothed the naked so too should we, and similarly we should imitate His other acts of kindness and mercy. According to some sages the garments were nothing unusual, just plain leather animal skins from an ox or other regular animal. According to some the animal from which the skins were taken was similar in size and shape to man. According to some the garments were made from the skin shed by the snake. Another opinion states that Kosnos Or means “garments from what comes out of skin,” i.e., garments from fur and hair that grow out of the skin, meaning the fur of animals like goats, sheep, or rabbits. Another opinion states Kosnos Or means “garments that benefit the skin” or “garments that that cleave to the skin,” meaning the garments were made of linen or cotton or similar materials. On a higher level sages say that Hashem clothing Adam and Eve in garments of skin means that they were given physical bodies, since before the sin they were purely spiritual beings. Another opinion is that “garments of skin” is a euphemism for the foreskin and hymen. Another opinion is that they were given hard and shiny and tight fitting garments similar to fingernails. Another opinion is that the garments were from very fancy animal skins that were decorated with beautiful drawings of birds and other creatures, giving power to the wearer to be able to control the wild animals, and generations later these garments eventually came into Esav’s possession, and these were the “coveted” garments of Esav with the “smell of Gan Eden” that Yakov put on when he received Yitzchok’s blessing. Another interpretation is that the word “skin” in this verse has a meaning of “honorable” and “respectable,” with the intention of indicating that these were valuable and respectable garments that it was an honor to give and an honor to wear. On higher levels sages say that these were garments of “light,” reading the word עור, Or, skin, as though it would have been spelled like the word אור, Or, light, with an initial letter Alef instead of with an Ayin, with the same pronounciation. Another opinion says that these garments were “Shabbos garments,” since immediately thereafter the first Shabbos of creation started, and this imparts a hint for us to likewise wear special garments in honor of the Shabbos. Some say that these garments were made from the skin of the great Leviathan, which was slaughtered to be feasted on at the great banquet for the righteous in the world to come, which Shabbos is a taste of the world to come. Another interpretation teaches that the garments of skin were made from the skin of the uniquely beautifully colored Tachash animal, the same animal skin that was later used as the tent covering of the Mishkan Tabernacle, and it was for use of their skin for the Mishkon that the Tachash was created, and afterward it became extinct. Another opinion teaches that these garments were Bigdei Kohan Gadol, the set of holy garments worn by the High Priest in the Mishkon and Mikdash, and a Midrash says that there is a hint to this since this verse has 8 words, hinting to the 8 holy garments of the Kohan Gadol. Regarding the Mishkon and the holy priestly garments that are hinted in Hashem’s gift of “Kosnos Or” to man in Gan Eden, it was already stated above in previous comments that there is a clear correspondence between both the Mishkon and the priestly garments to the Talis and Tzitzis. Automatically then, the garment of Talis and Tzitzis, and also Tefillin, which are Hashem’s special ornamental garments made of skin and parchment that He ordained for us to wear, are also clearly hinted to in the “Kosnos Or” that Hashem gave to Adam and Eve on the very first Rosh Hashanah. The above mentioned Midrash noted that there are 8 words of this verse, and the number 8 also clearly hints to the 8 strings of Tzitzis, and also to Tefillin, which are two rectangular four sided leather boxes, one on the arm and one on the head, with each box containing four paragraphs of the Torah written on parchment, thus outwardly and inwardly being represented by the number 2 x 4 = 8. It is also possible to find hints to all of these holy themes that we are discussing from the design that appears in the Torah since this verse (Genesis 3:21) is the 77th verse in the Torah, and in that there are 37 letters in this verse, and these numbers too are significant and have previously been discussed above. In the context of the Scriptural narrative, these special garments were given by Hashem right after man’s sin and right before his expulsion from Gan Eden, and it is evident that Hashem’s intention in giving them to Adam and Eve was to thereby help them to control their evil inclinations, to elevate them to repent out of love and to sin no more, and eventually to have the ability and power to repair the damage they had caused through their sin and to be able to return and reenter Gan Eden at the appropriate time. Similarly for the congregation of Israel, the garments Hashem commanded for us to wear are specifically the Tallis with Tzitzis, and similarly the Tefillin worn as a sign on our arm and on our head, and they are designed to protect us from the evil inclination and to earn for us merit and bring us back to everlasting life in Gan Eden. We were given these Mitzvos directly from Hashem, our G-d, the Creator and King of the universe, and there are unimaginable benefits in store for those who diligently put on these precious articles of apparel that are emblematic of our connection to our people and our connection to Hashem. These matters could be elaborated on at much more length however present time constraints necessitate brevity. At any rate we have seen that the Talis and Tzitzis are hinted in Hashems’ kindness at the beginning of the Torah in the giving of garments to Adam and Eve, and likewise the Talis and Tzitzis are hinted the end of the Torah which discusses Hashem’s kindness in burying Moshe Rabbeinu, since as was already discussed in a previous comment the long standing tradition for Jewish burial is that the body is buried wrapped in a Talis with Tzitzis. Another great kindness of Hashem evident in the beginning of the Torah is His arranging for the union of man and woman in holy marriage. The Torah describes how Hashem did this kindness for the first man and woman, Adam and Eve, and similarly for all their progeny in all generations, and it is also the long standing Jewish tradition for the bride and groom to stand under the canopy of a Talis with Tzitzis when they unite as one at the wedding ceremony, at the very beginning of their new life together. As we approach the Judgment Day of Rosh Hashonah, the beginning day on which man was created, sinned, and was judged, and the day that Hashem clothed man in the special “Kosnos Or,” it certainly would be proper for all of us to make good resolutions, to “choose life,” to increase our study of Torah and our observance of Mitzvos, and especially the Mitzvos of Tzitzis and Tefilllin, reciting Shma and praying to G-d, and especially Mitzvah of following the kind and merciful ways of Hashem. This will surely help improve the world, in numerous personal and communal ways, and further ensure that we receive favorable judgments from Hashem, including being inscribed and sealed in the Book of Life, and for the gathering in of our people with love from the four corners of the earth to our holy land of Israel, with the coming of our righteous Moshaich very soon indeed. Best wishes for a Shona Tova U’Mesukah U’Geulah to all! Note: The planed completion of this essay will focus on the Mishkon and the priestly garments, which are also mentioned at the end of Sedrah Bamidbar, after the census of Israel and the arrangement of the camp, where the Torah discusses the way the Mishkon and the priestly garments were assembled and transported by the Leviim on the journeys in the desert, and IYH more correspondences to the Mitzvos of reciting the Shma and praying to Hashem and wearing a Talis with Tzitzis and Tefillin will be explained.